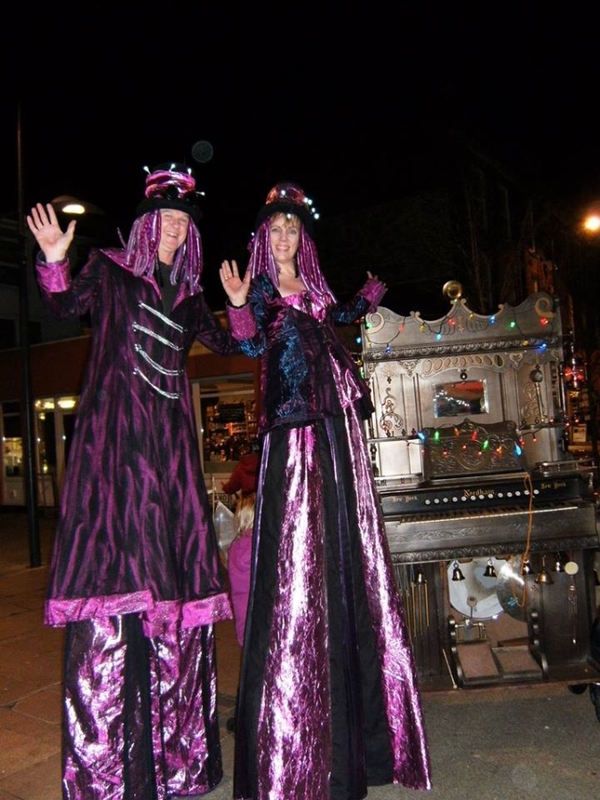 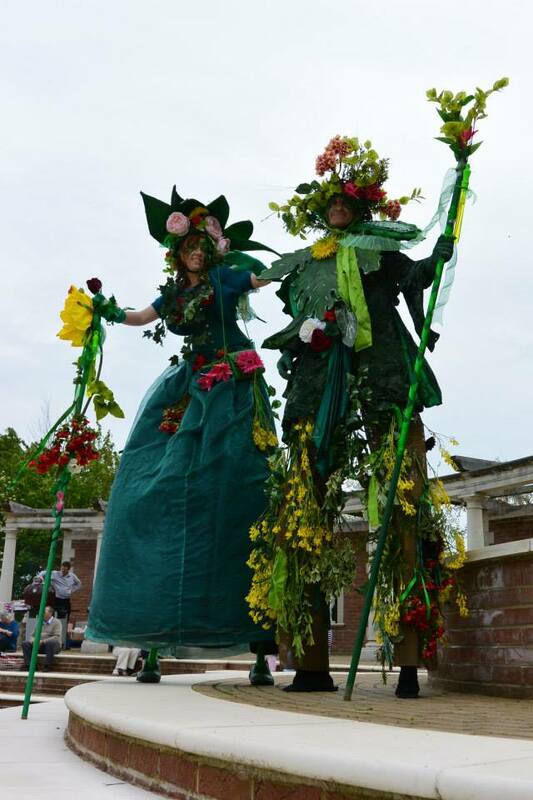 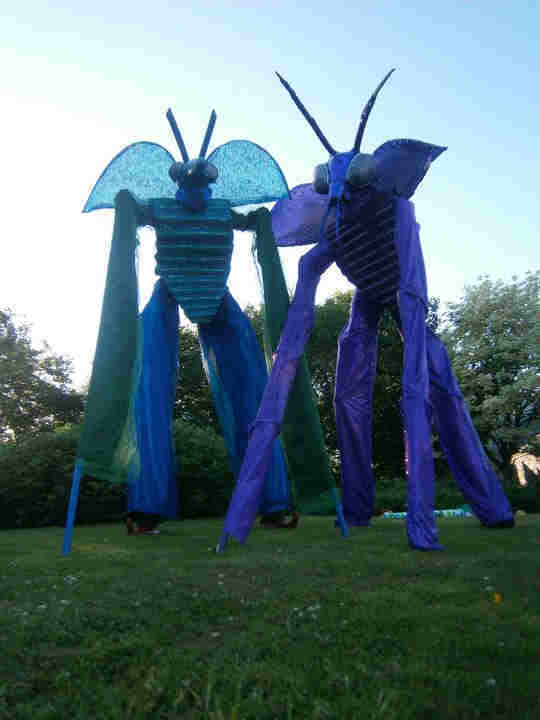 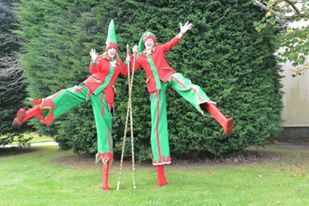 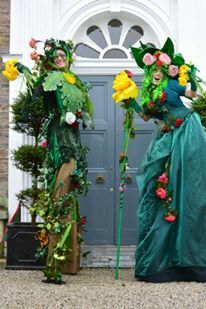 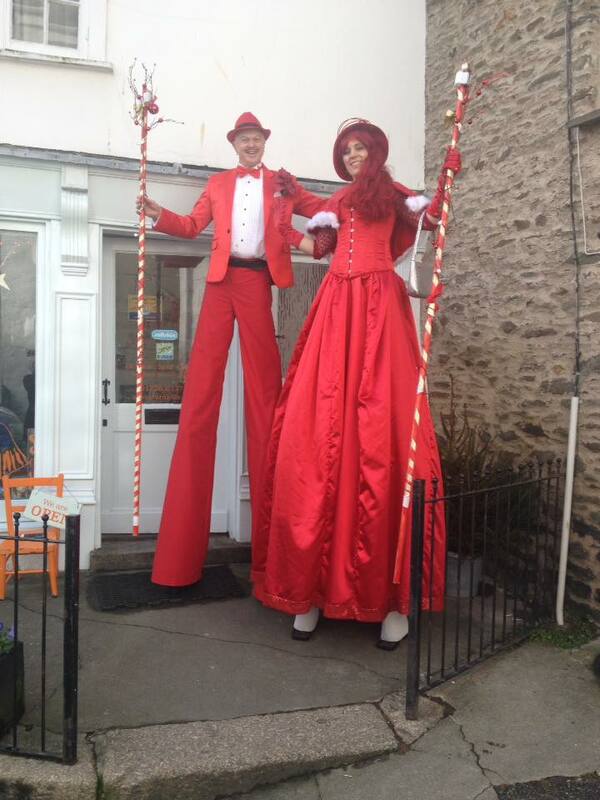 Stunning stilt walkers for all occassions. 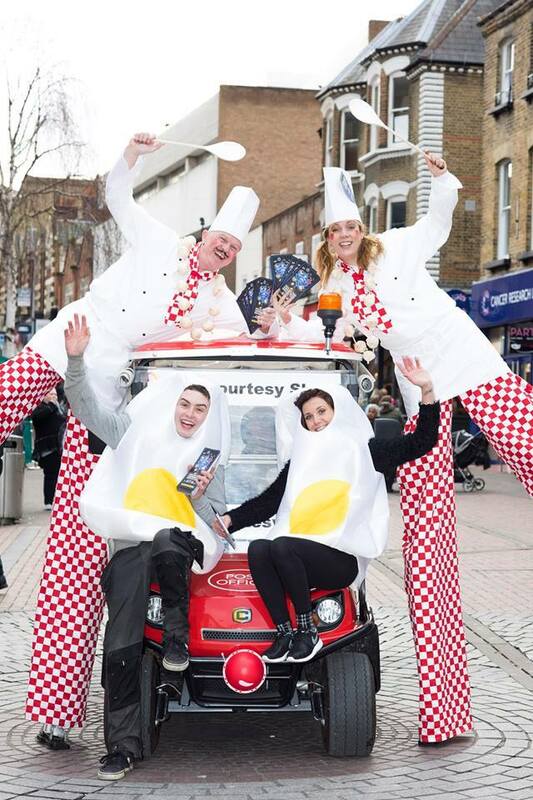 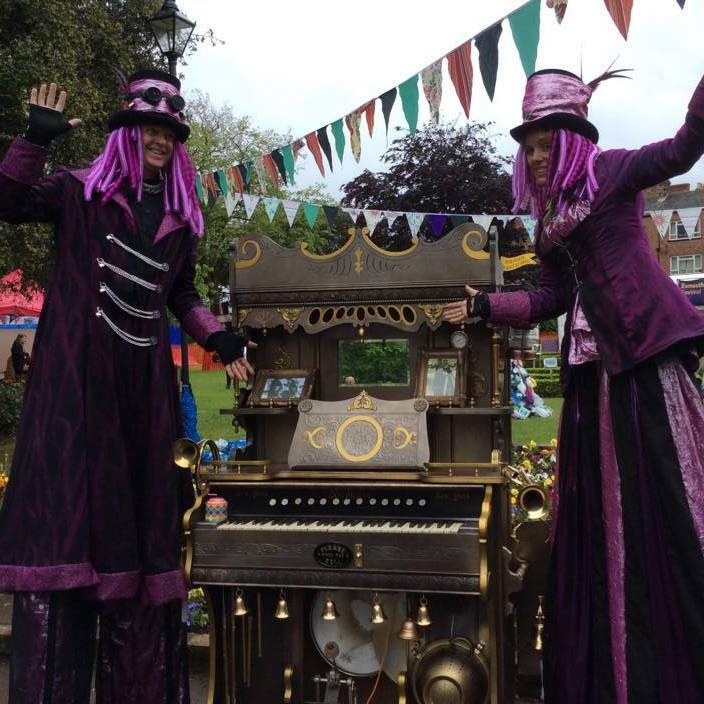 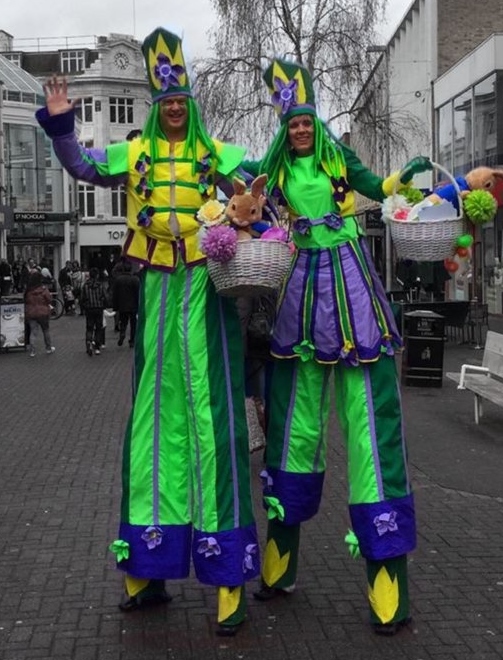 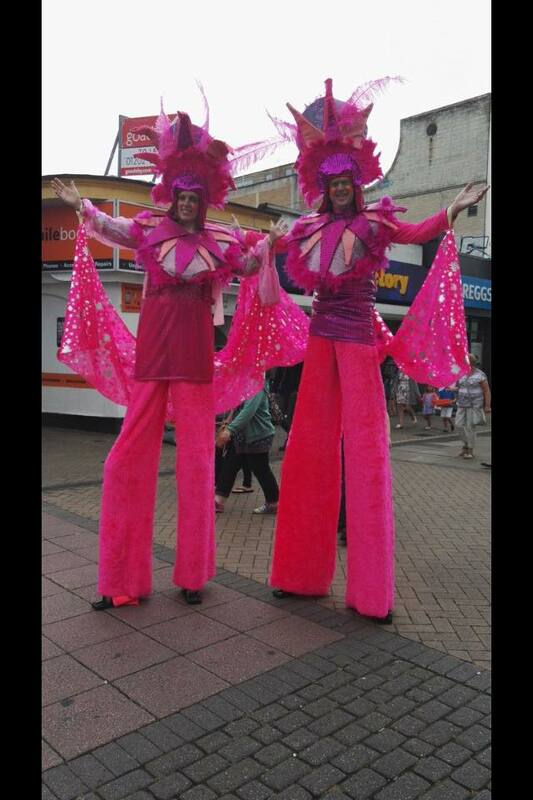 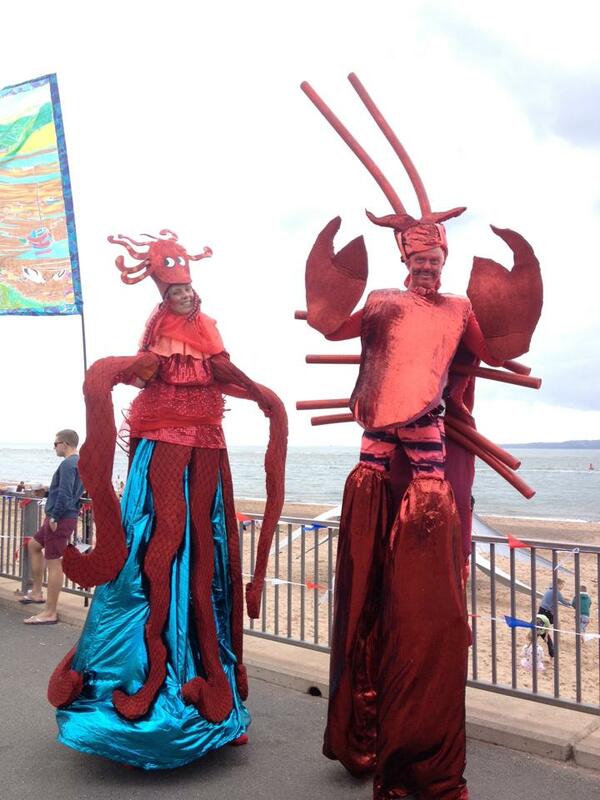 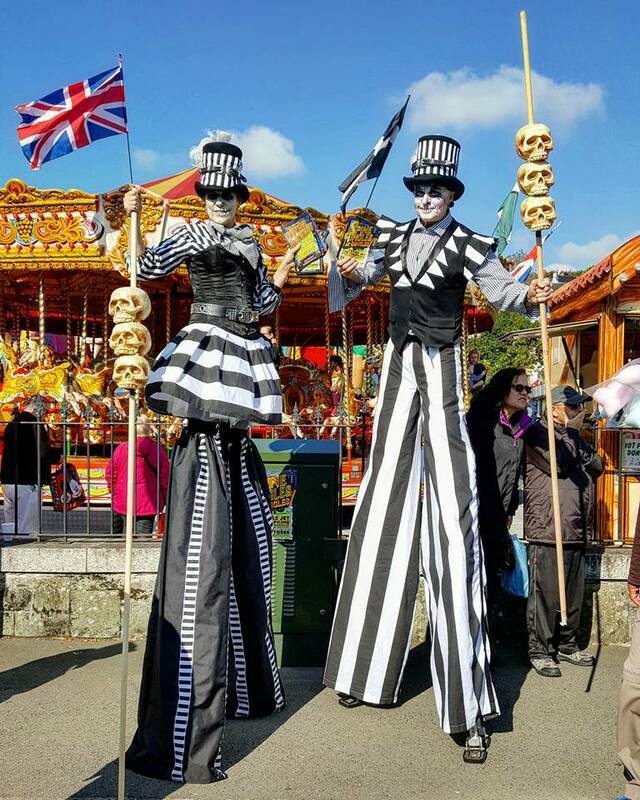 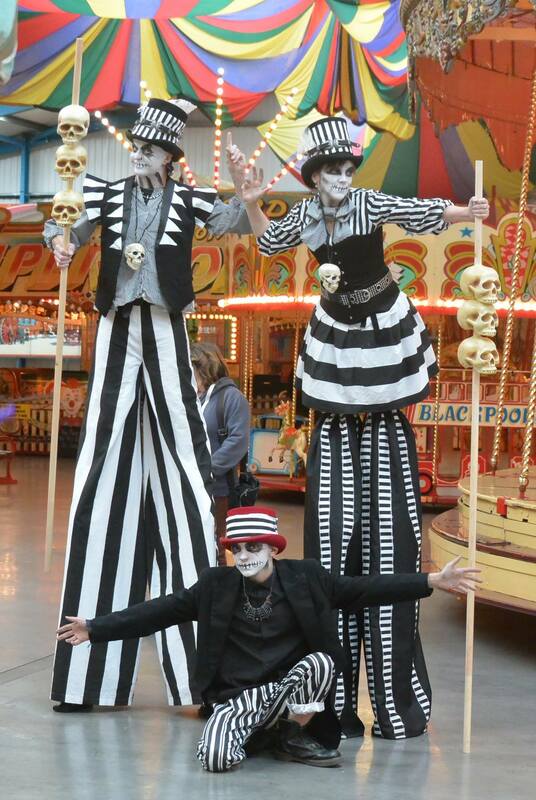 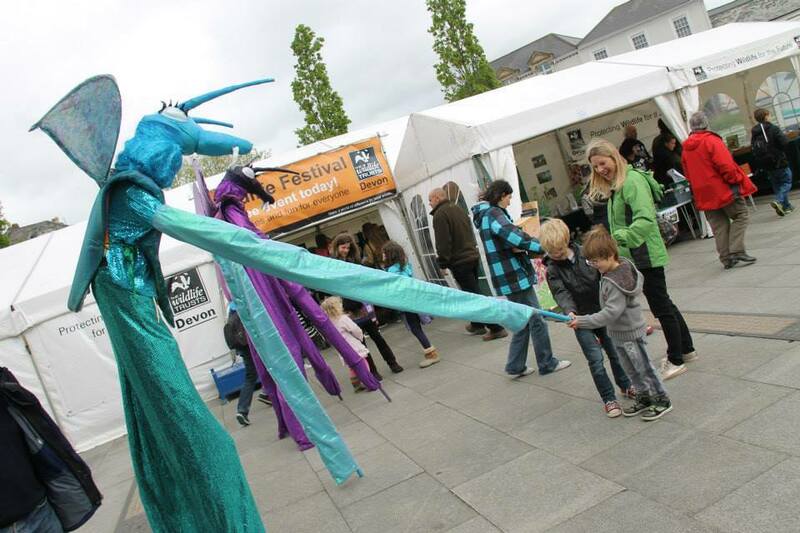 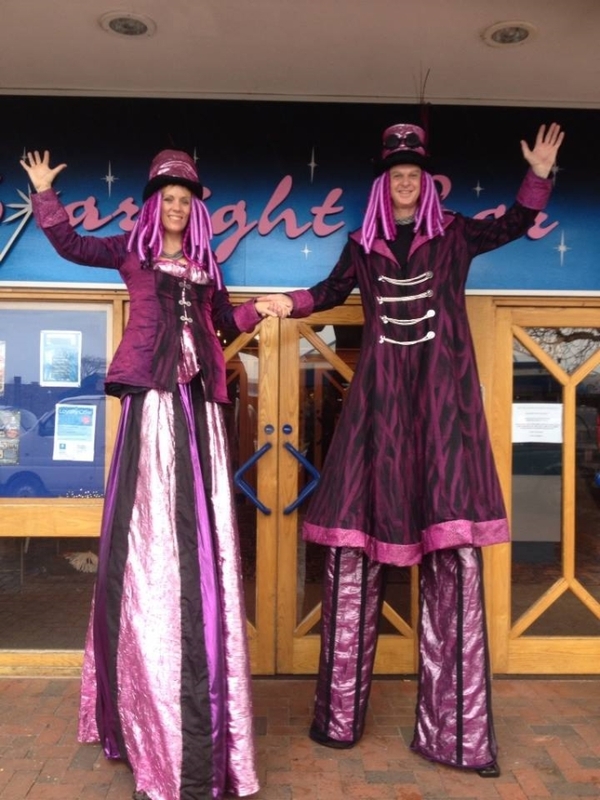 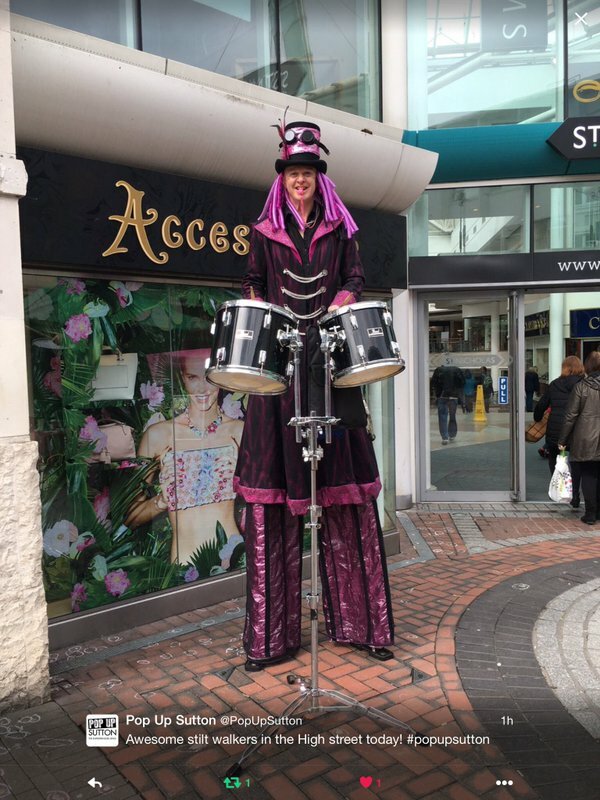 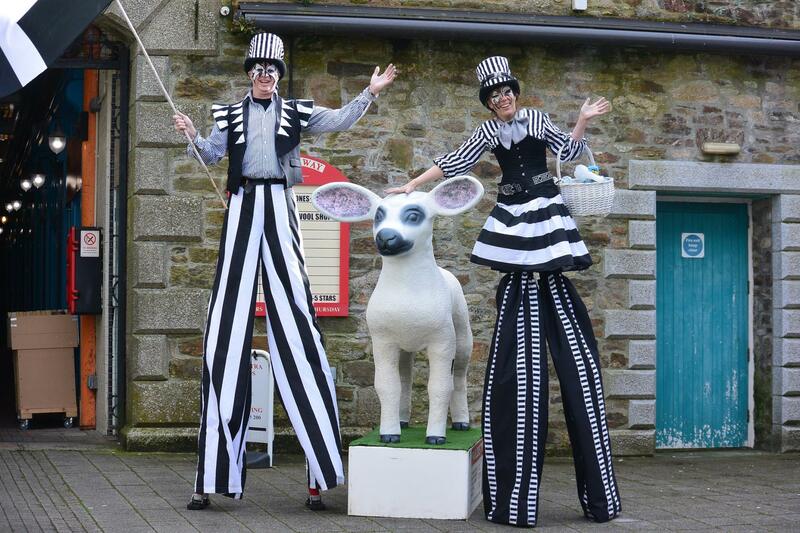 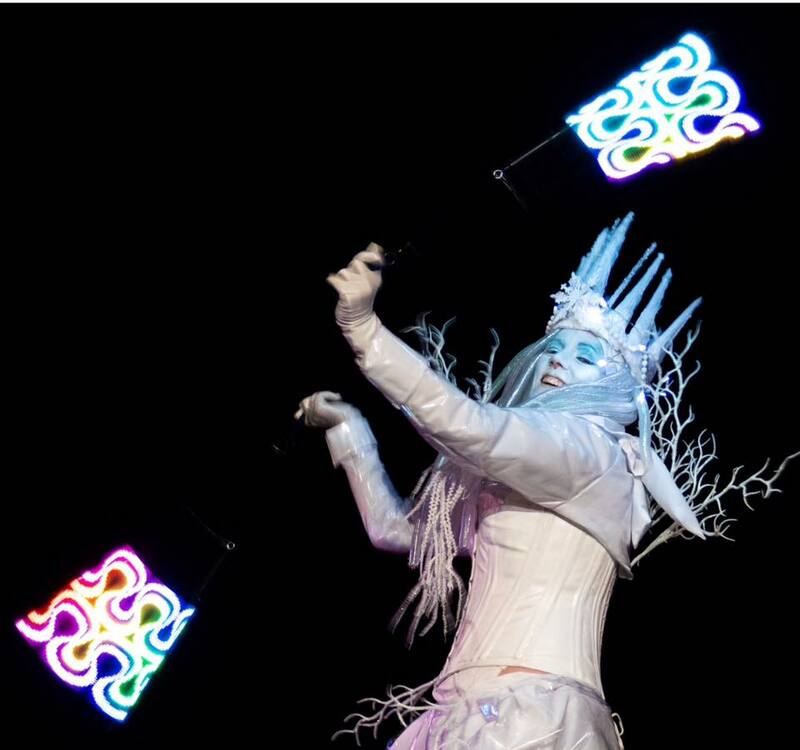 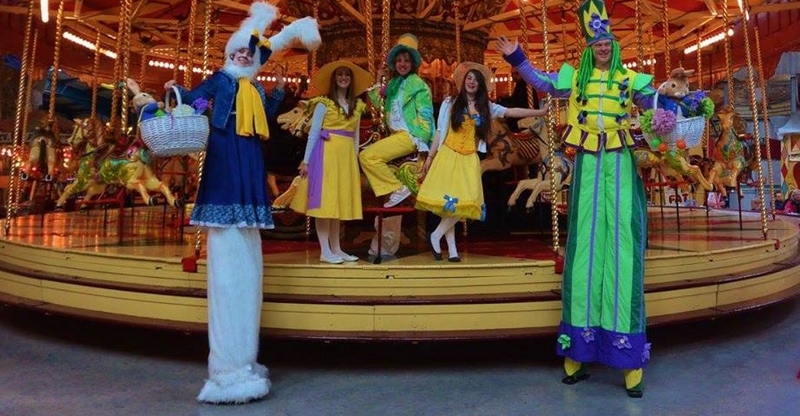 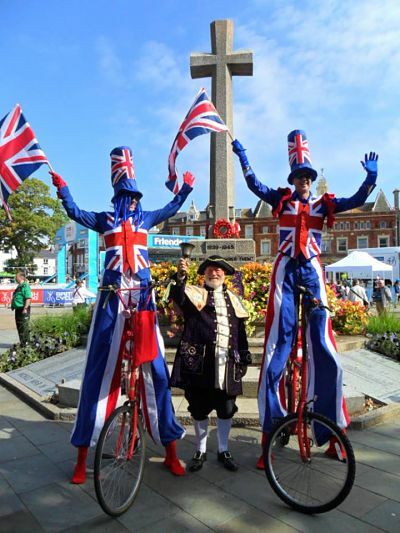 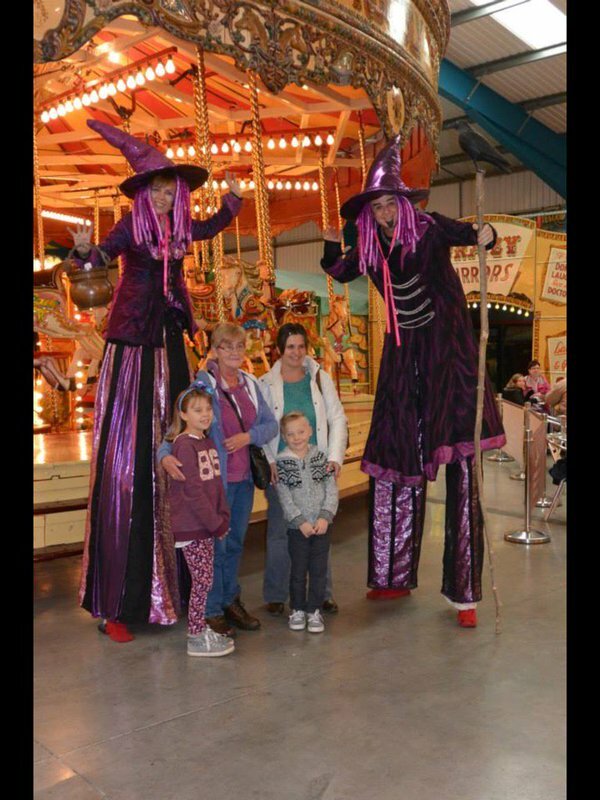 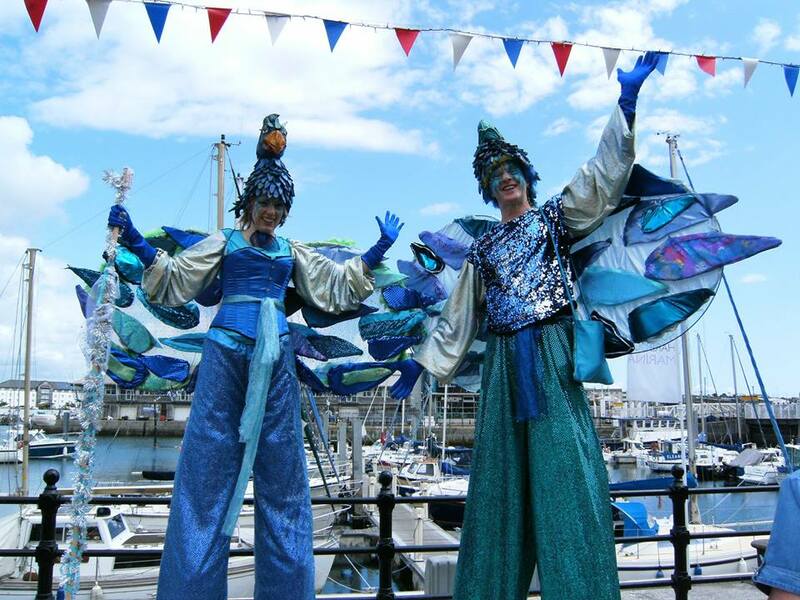 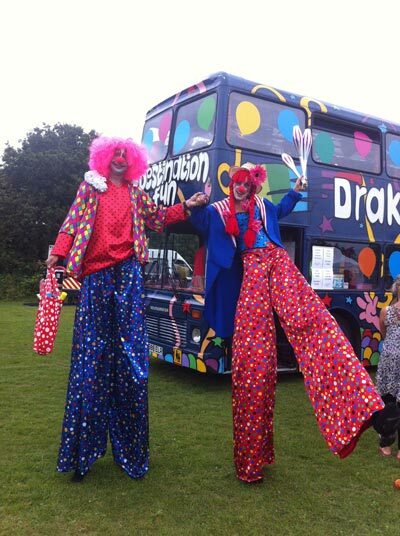 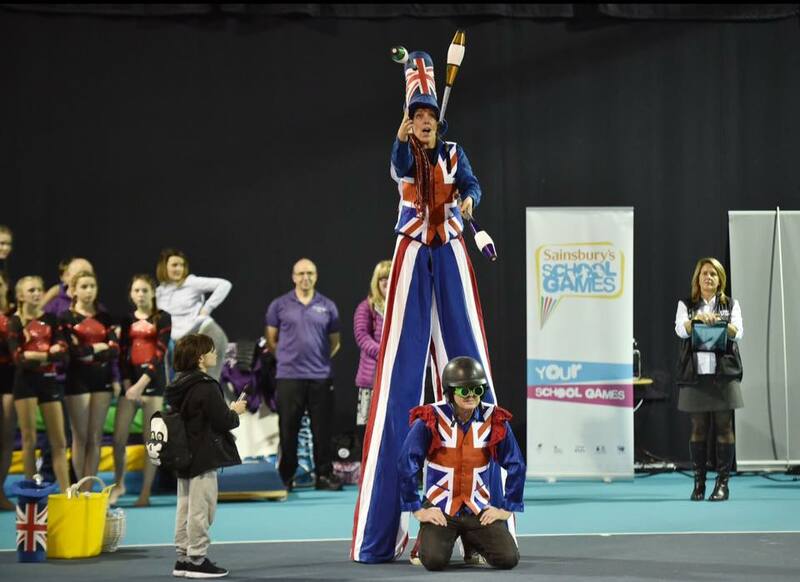 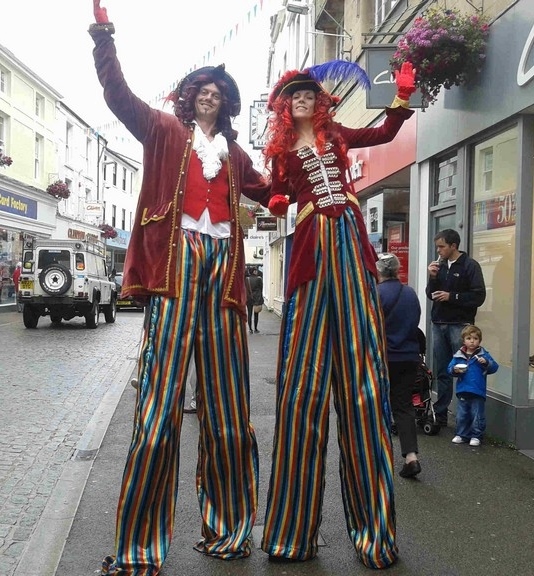 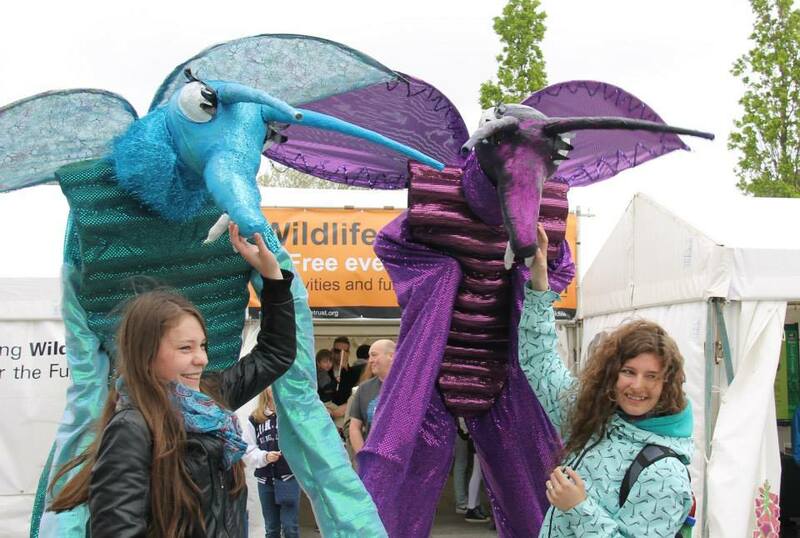 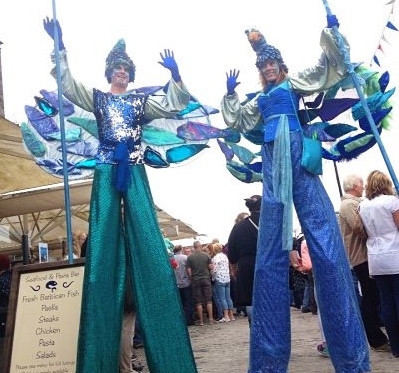 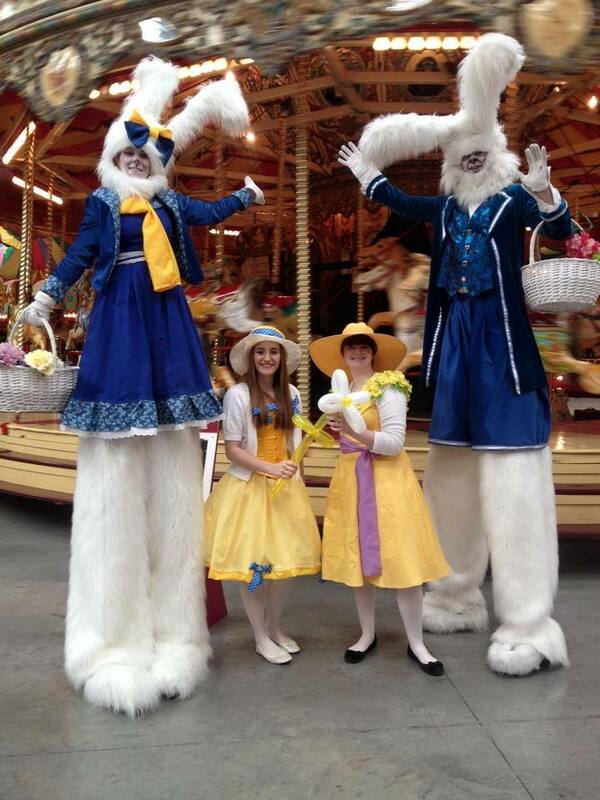 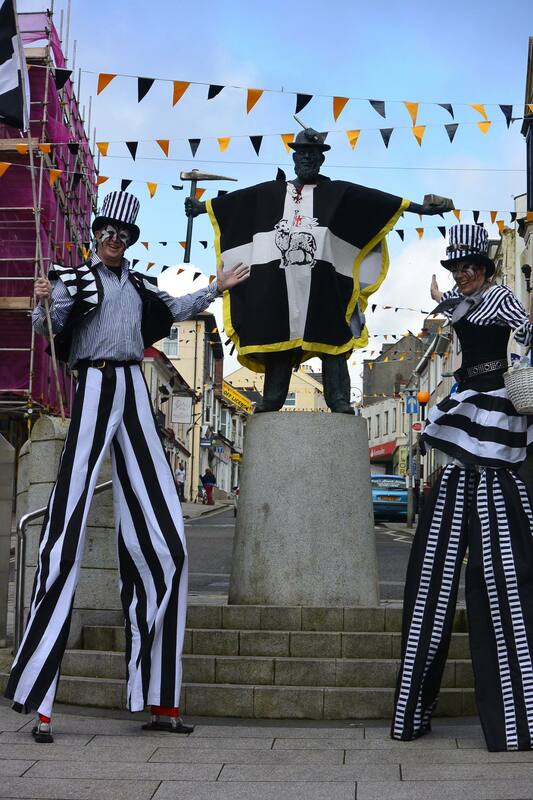 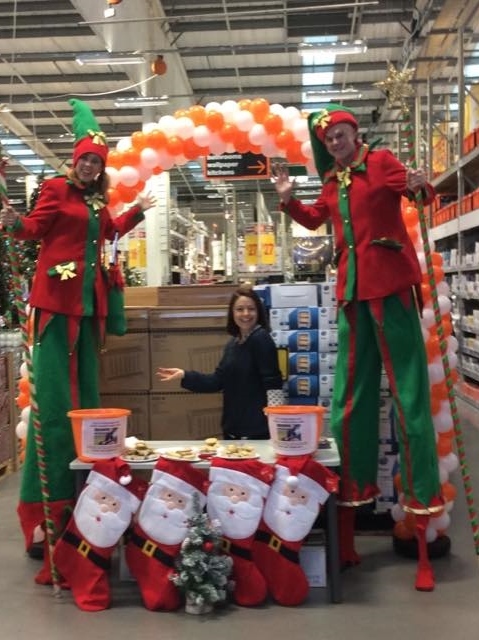 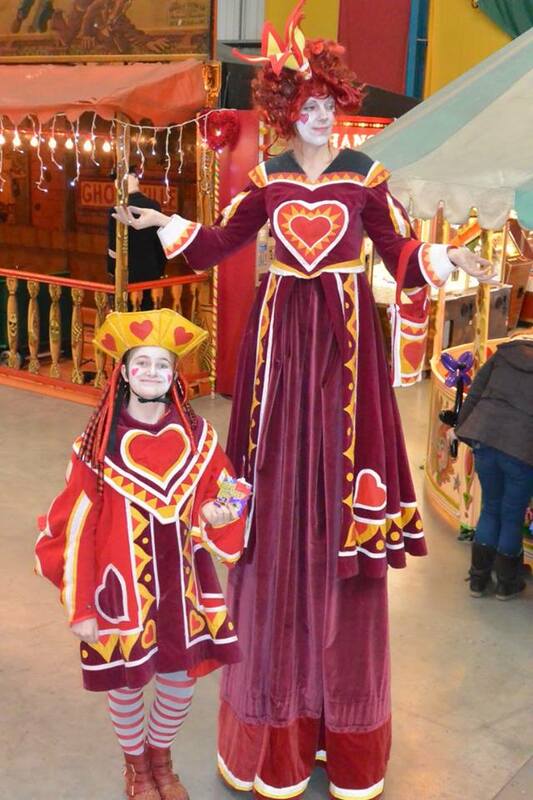 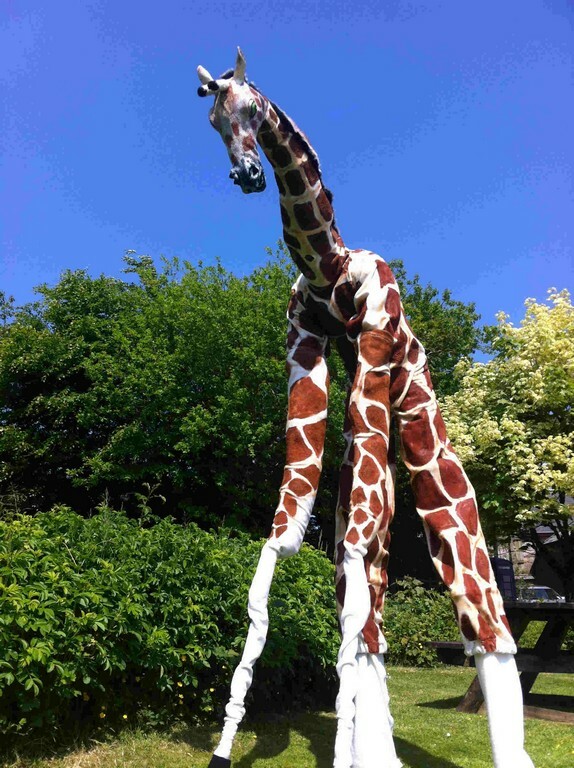 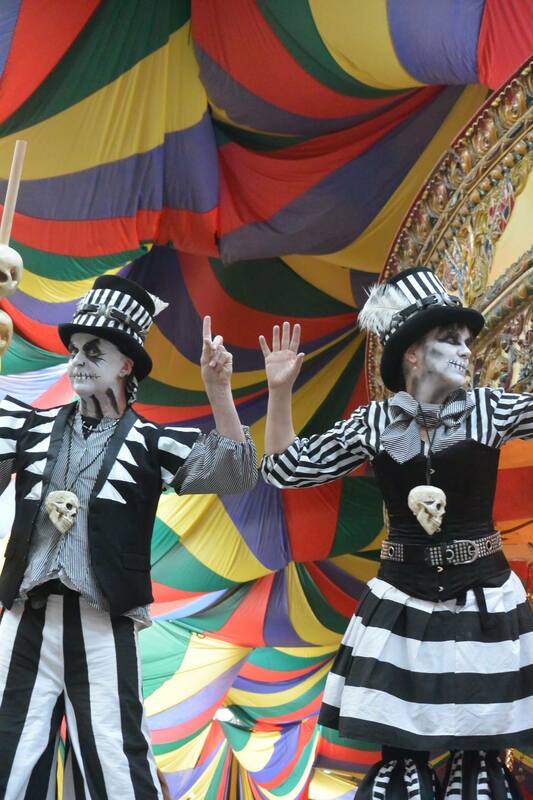 from Traditional circus style to themed characters,these eye catching stilt walkers create an instant visual impact. 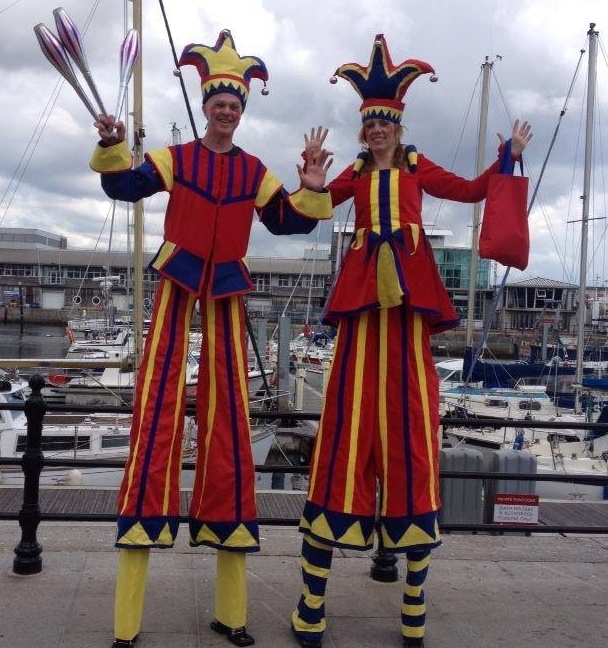 We can also juggle, modell ballons and even ride very tall bikes on our stilts! 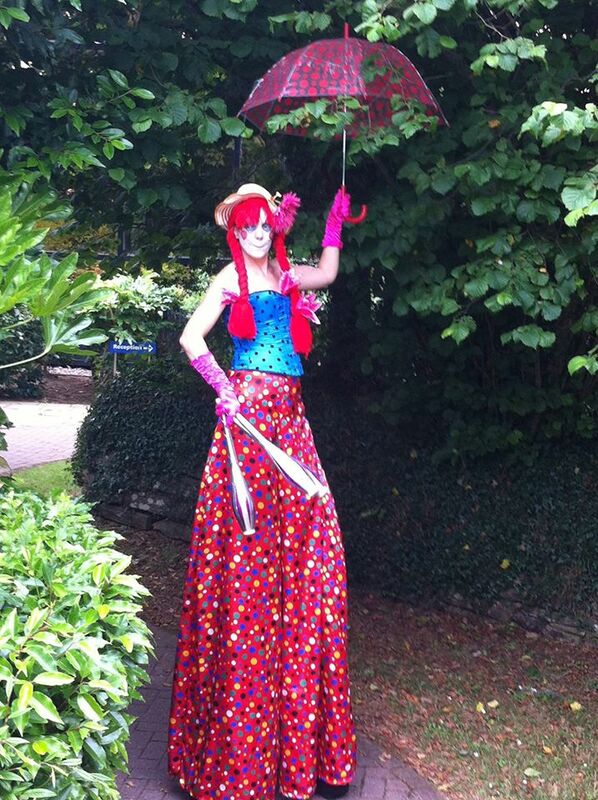 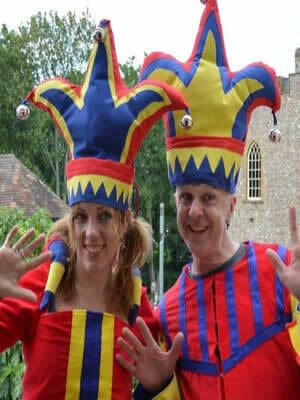 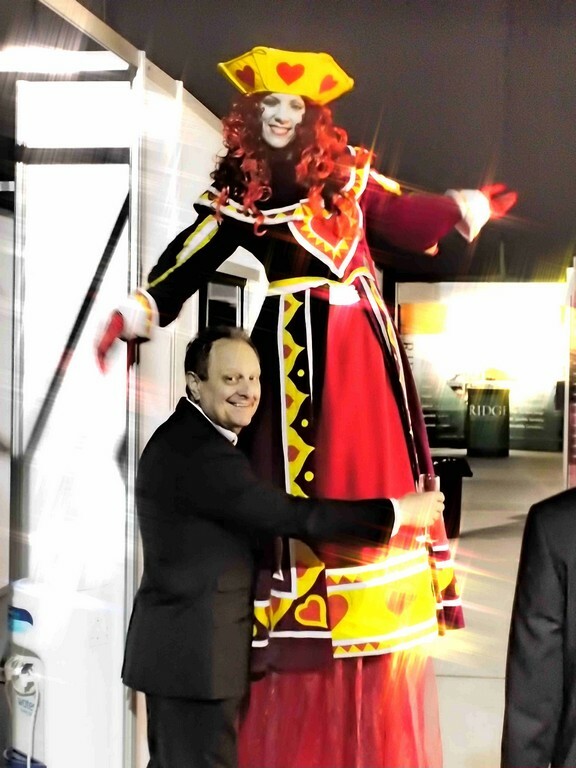 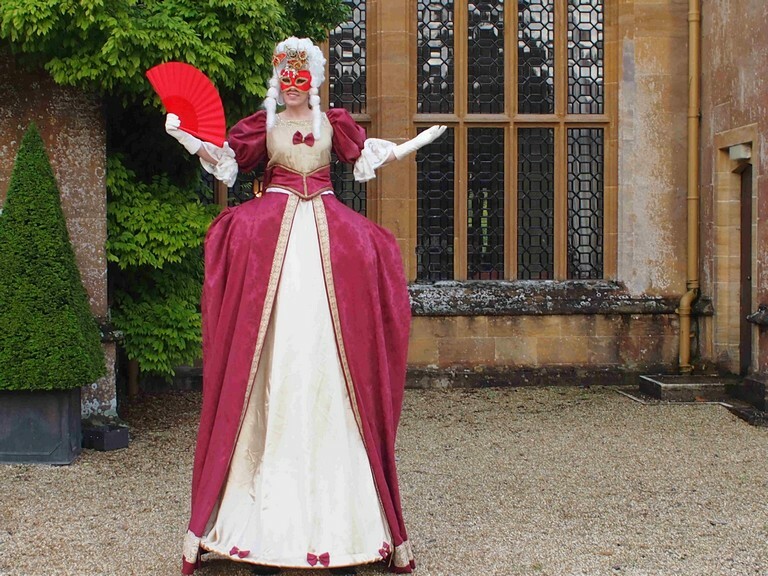 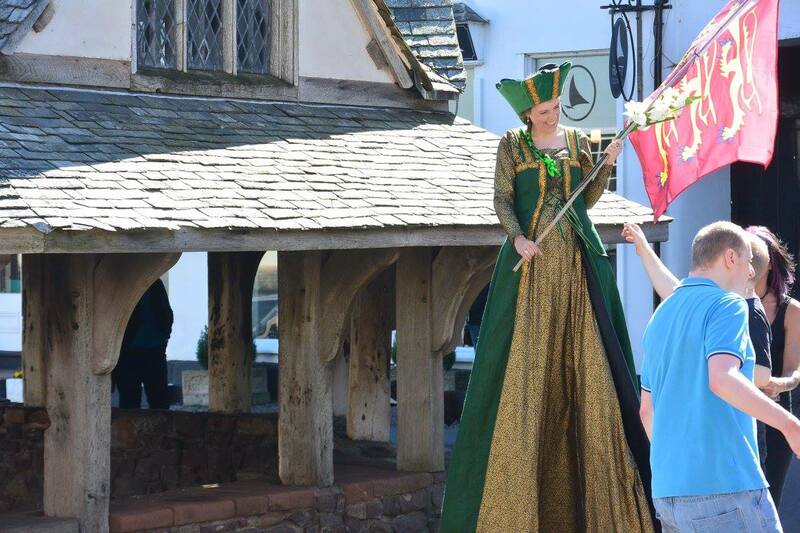 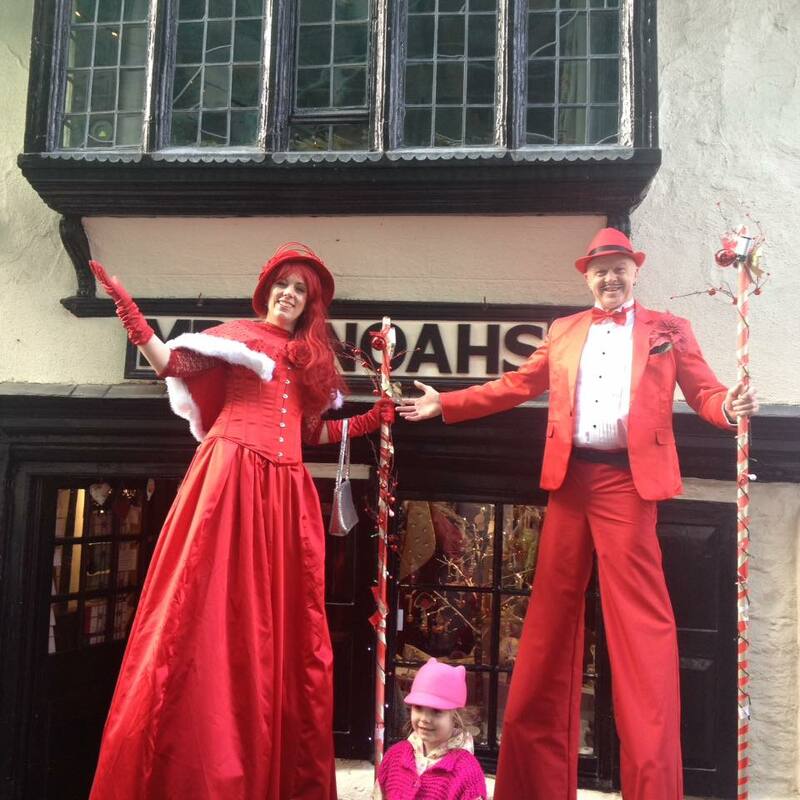 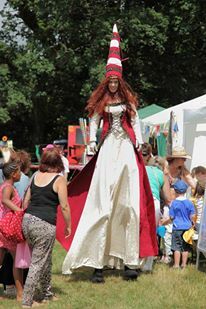 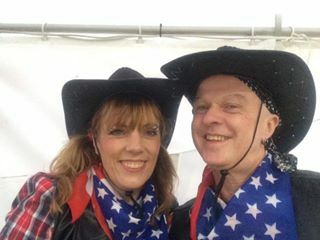 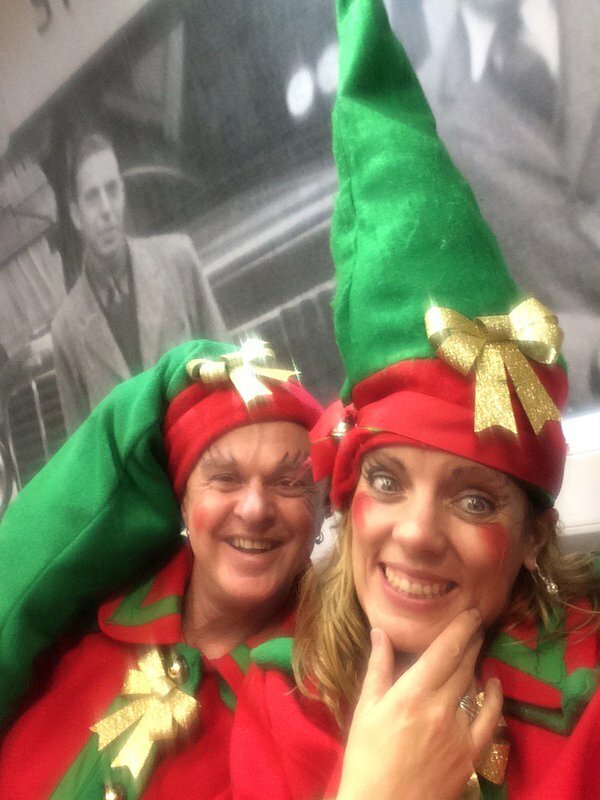 Click HERE to go to our great new website and see the latest stiltwalkers. 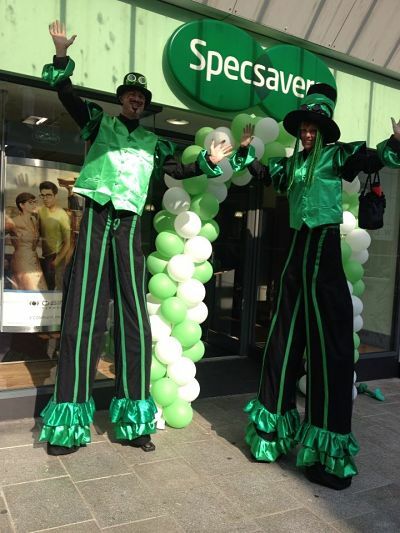 instant visual impact with graphic Poi. 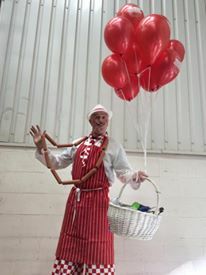 We can also juggle, modell ballons and even ride stilt bikes! 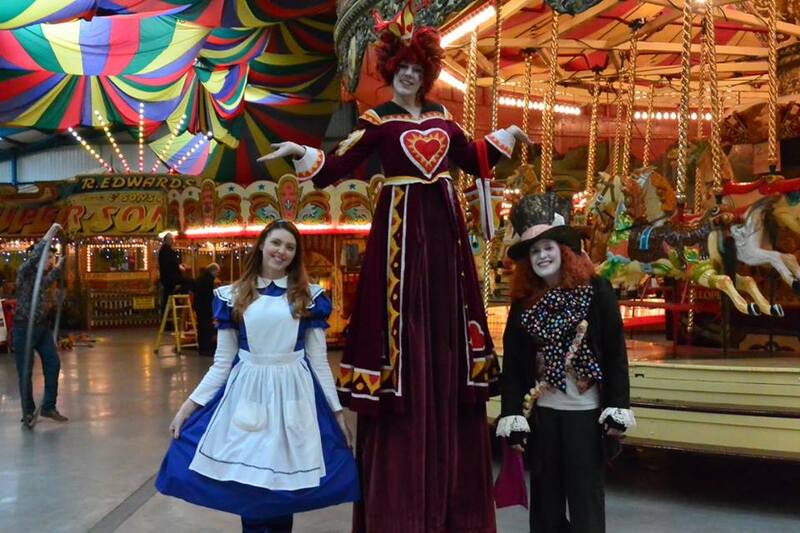 King and Queen of Hearts, Nave of Hearts, Mad Hatter, White Rabbits. 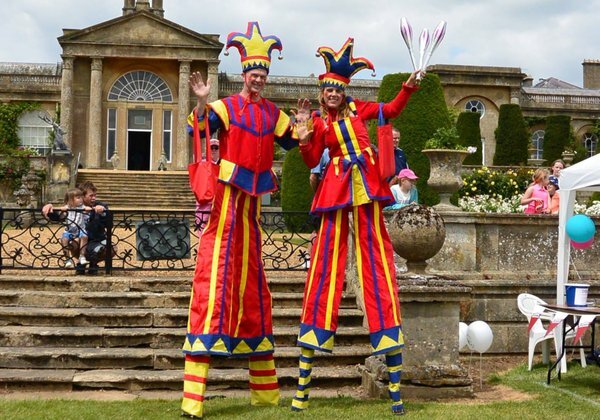 Juggling Jesters on Stilts. 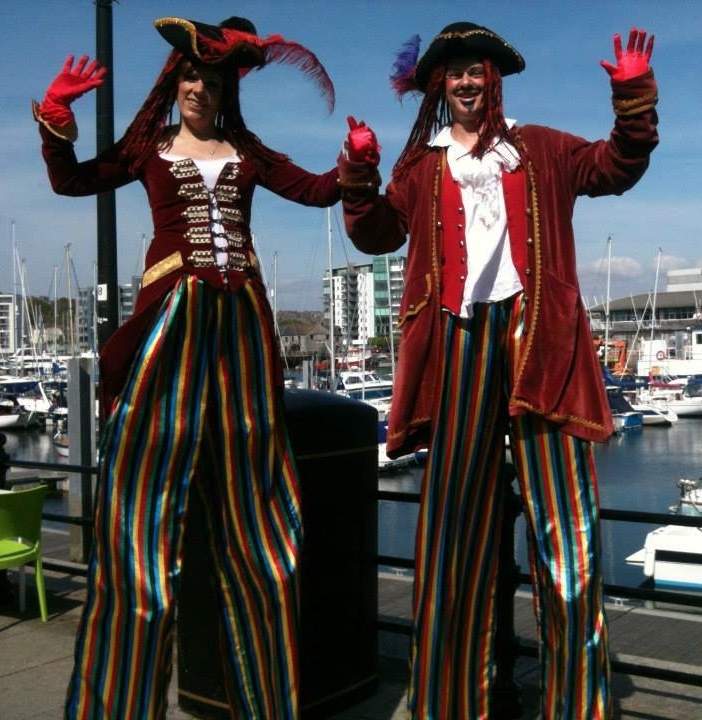 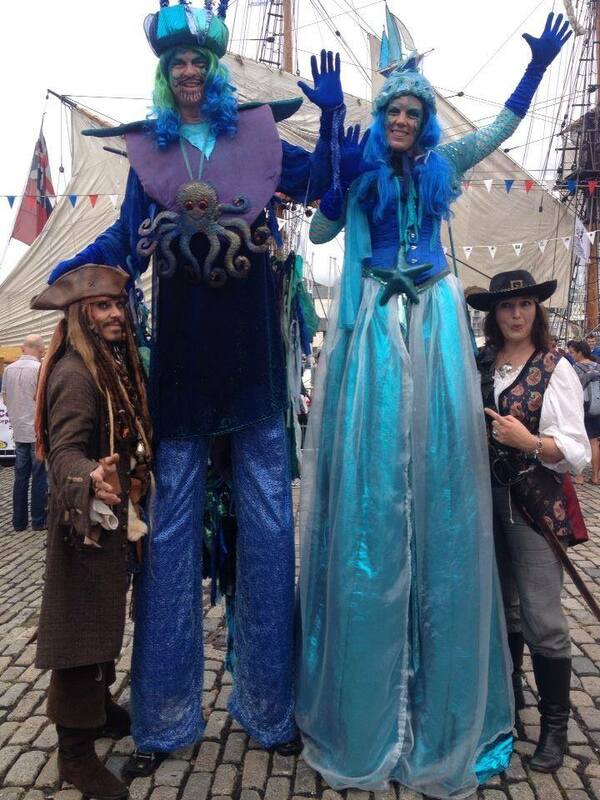 Pirate Stilt Walkers. 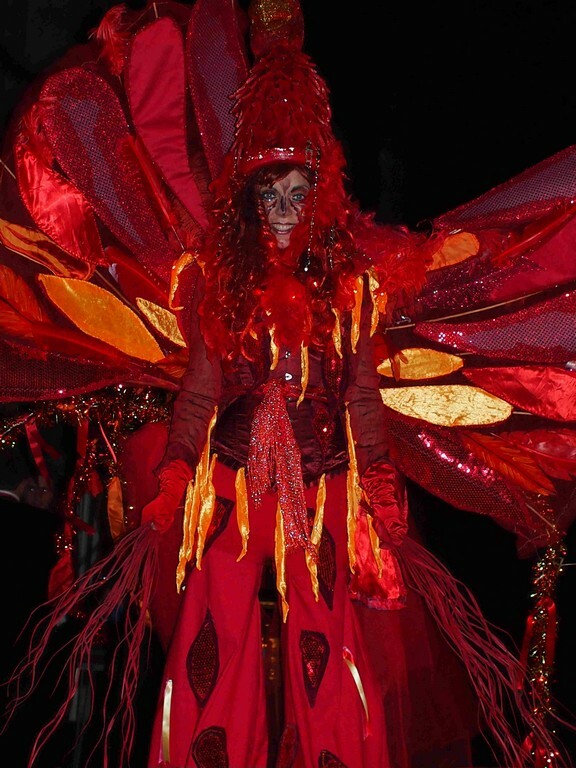 Carnival Fire Birds and Water Birds on Stilts. 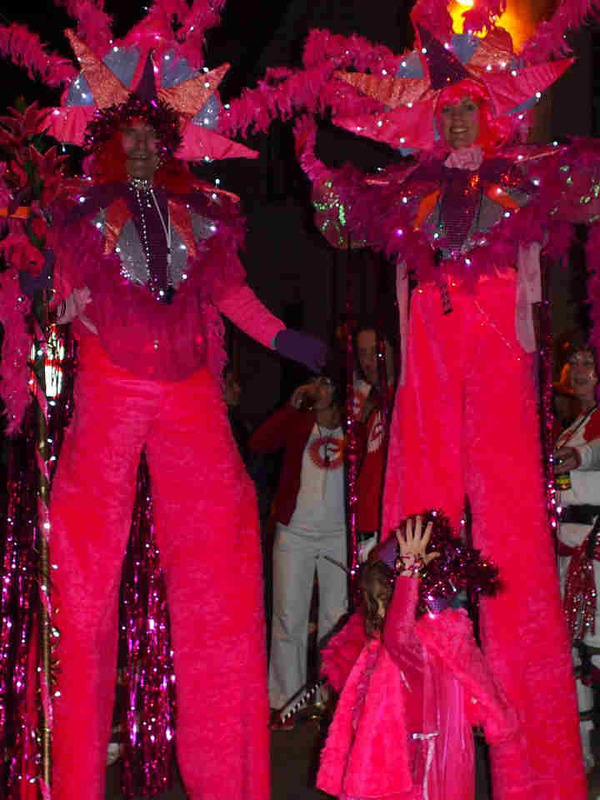 Pink carnival stilt walkers. 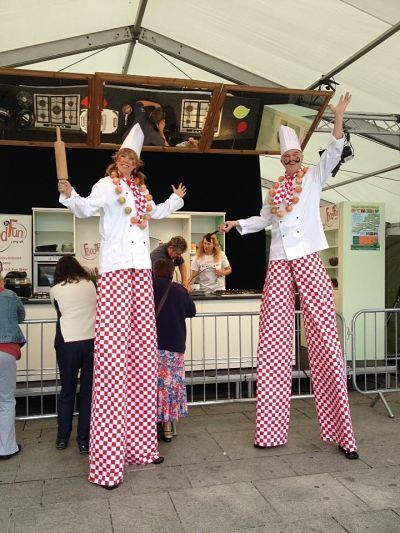 Stilt Walking Chefs and the Wild West stilt walkers. 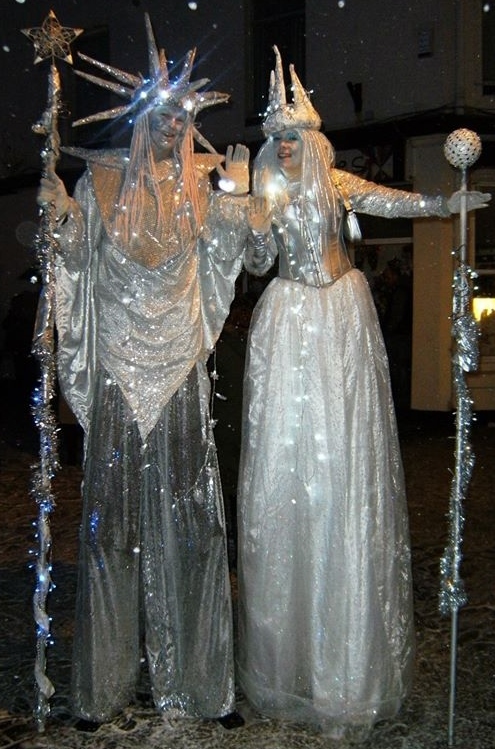 Wizard ande Witch stiltwalkers. 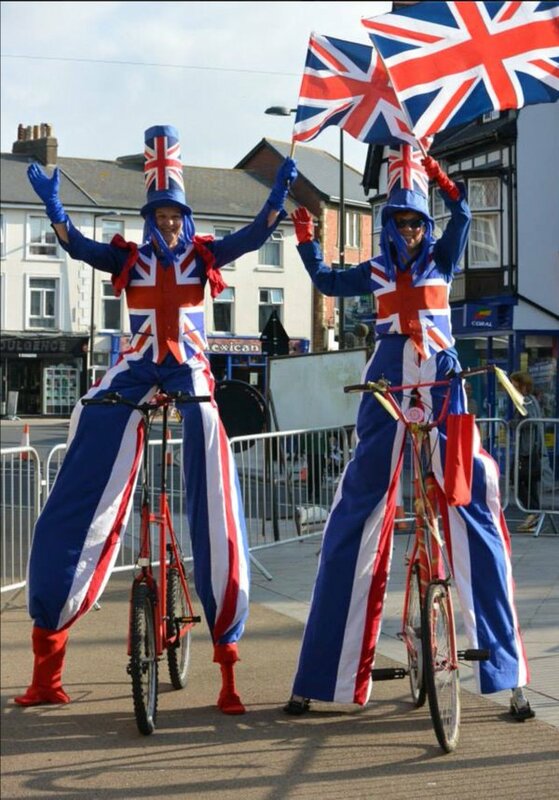 Bike riding Stilt walkers. 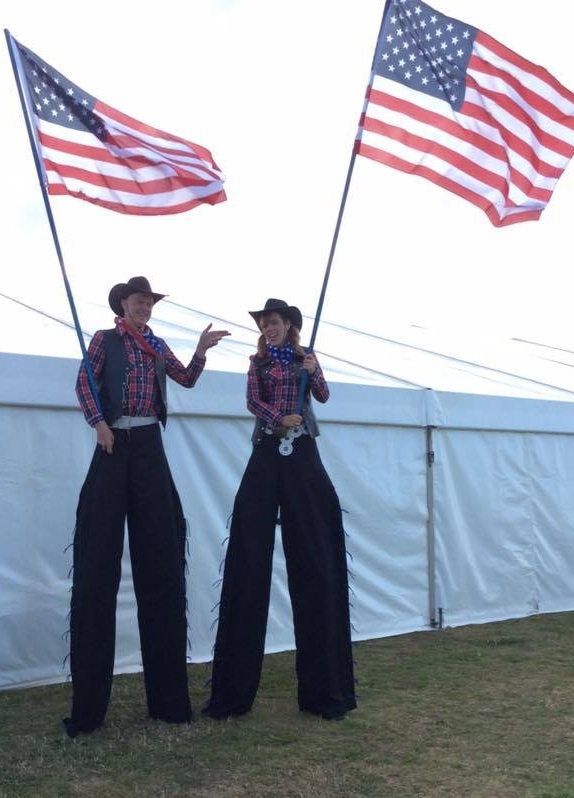 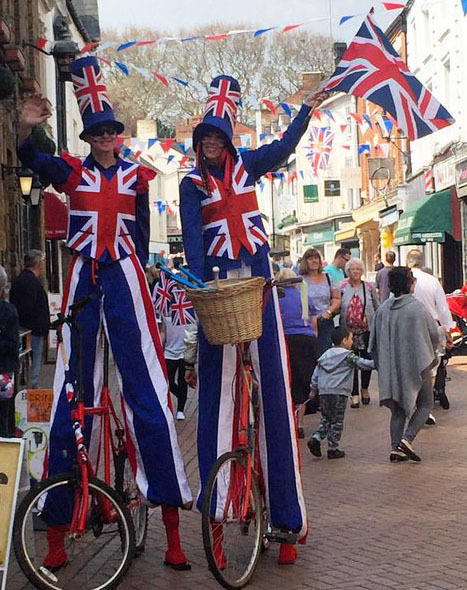 Patriotic stilt walkers. 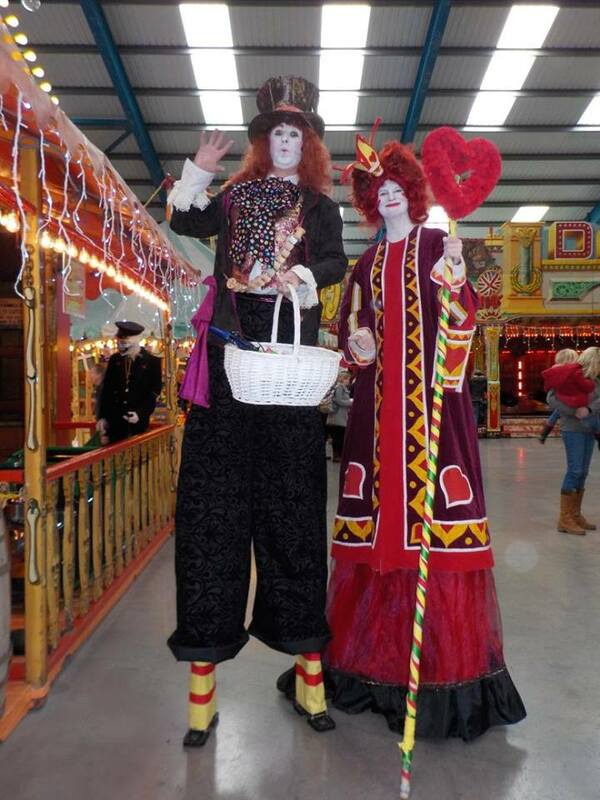 Traditional circus stilt walkers. 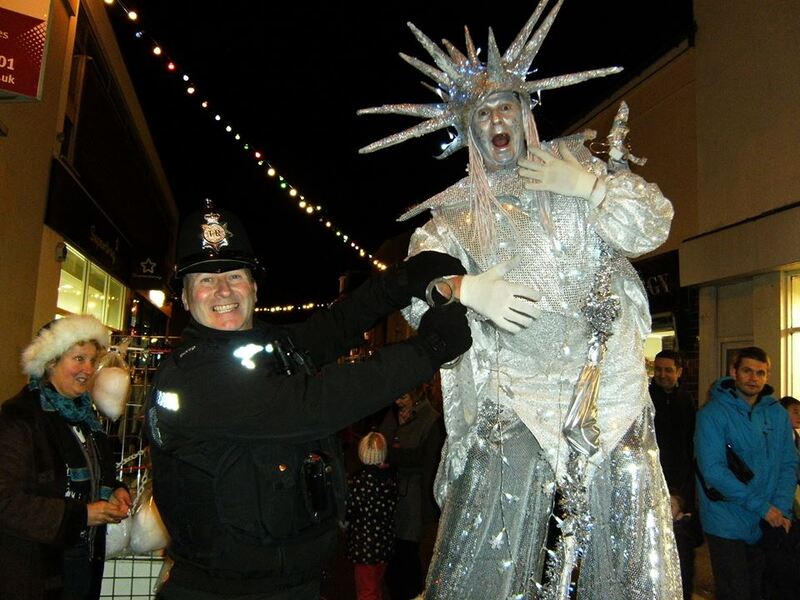 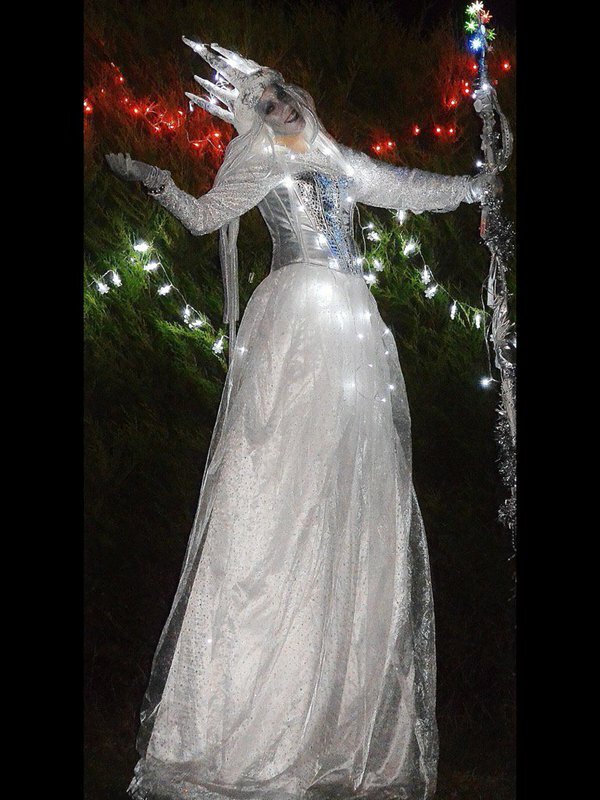 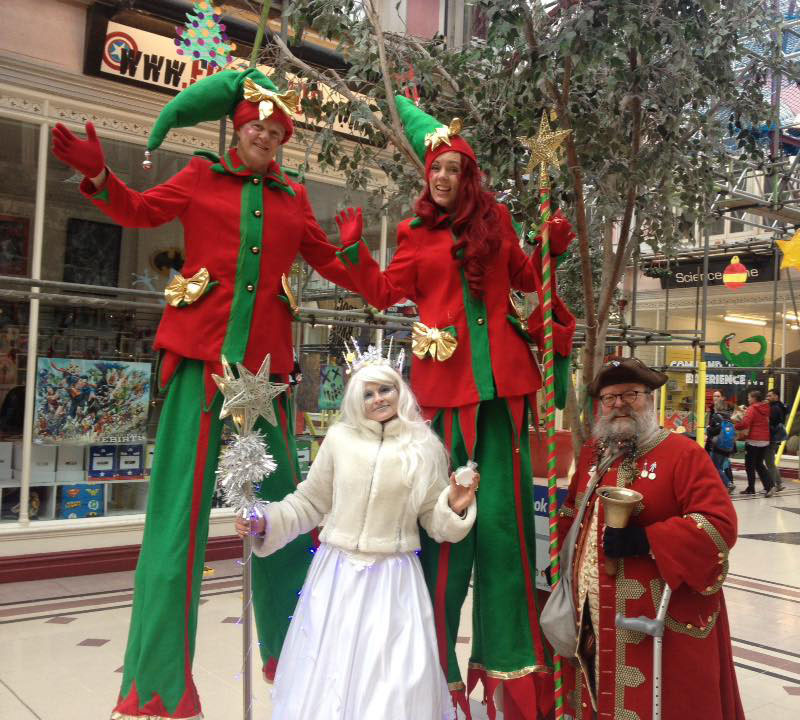 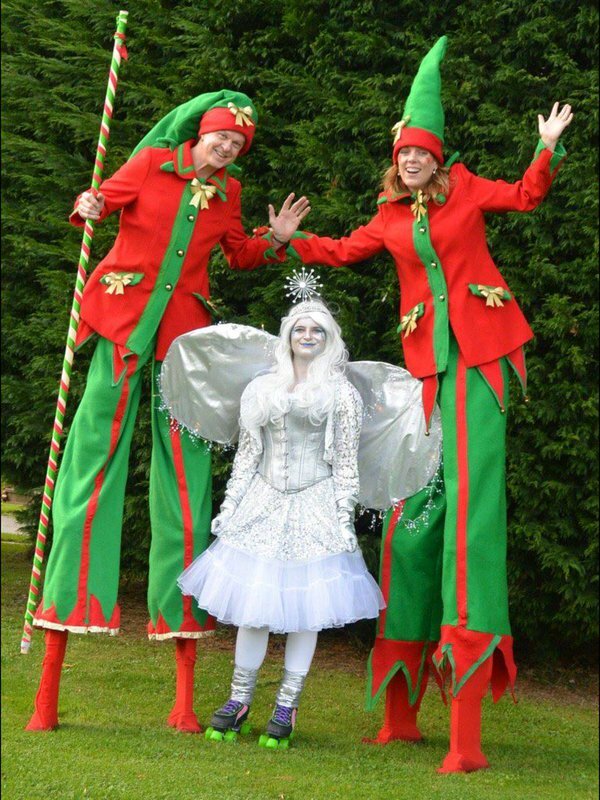 The Snow Queen stilt walker, Jack frost and elves on stilts. 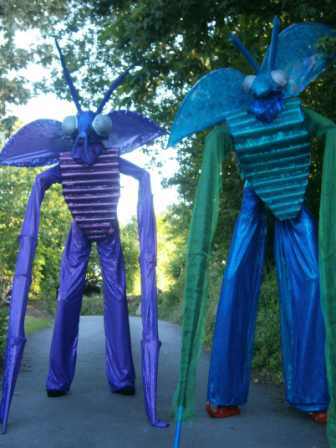 Fairies on Stilts. 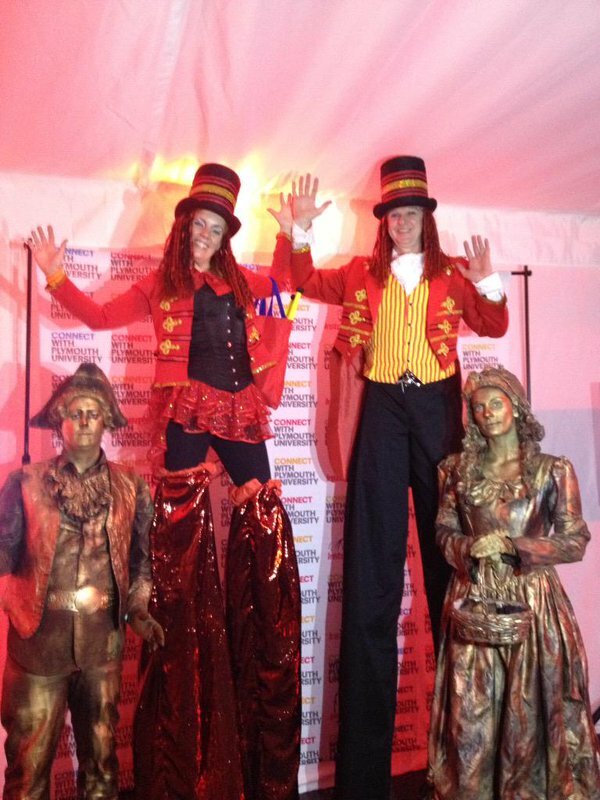 Steam Punk stilt walkers. 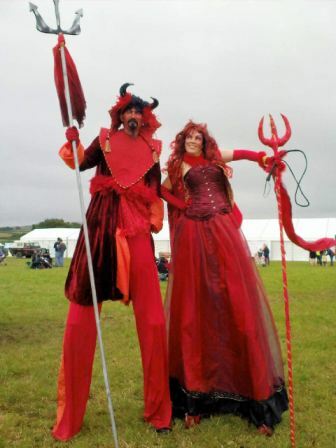 Devils and angels on stilts. 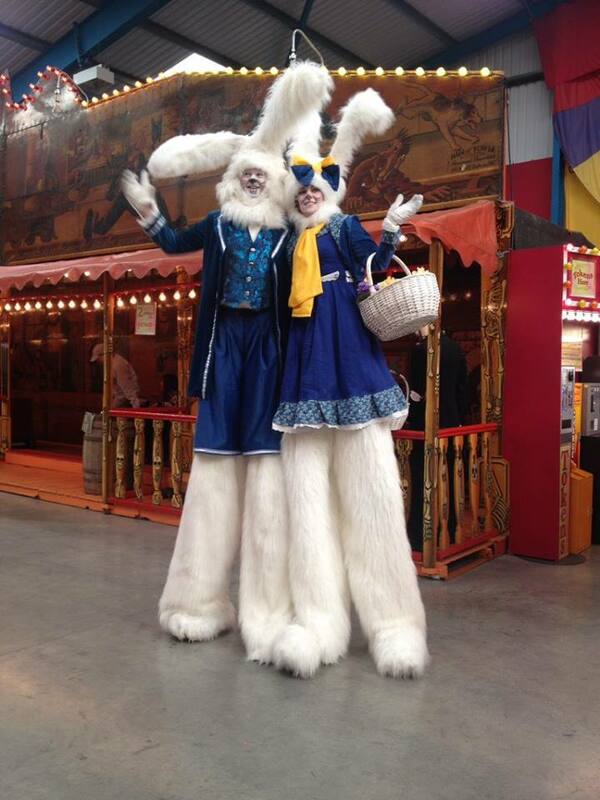 Venetian Stiltwalkers. 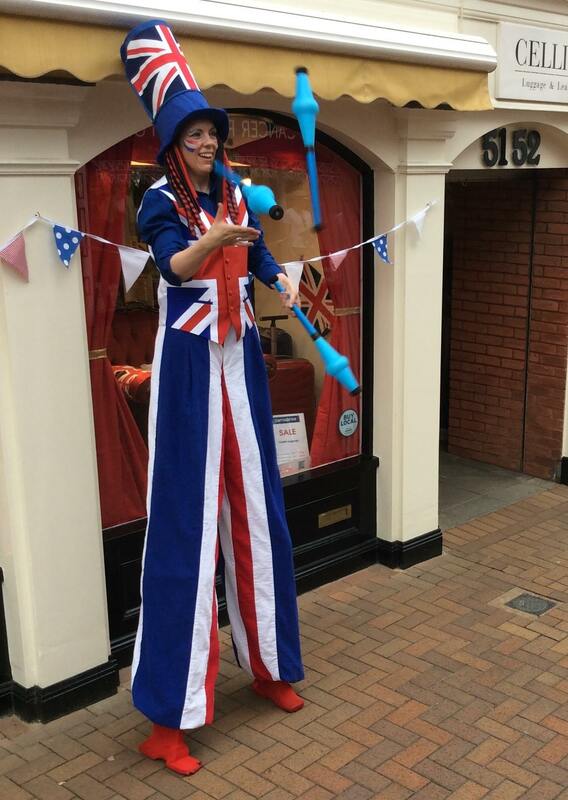 Uncle Sam on Stilts, jugglers on stilts. 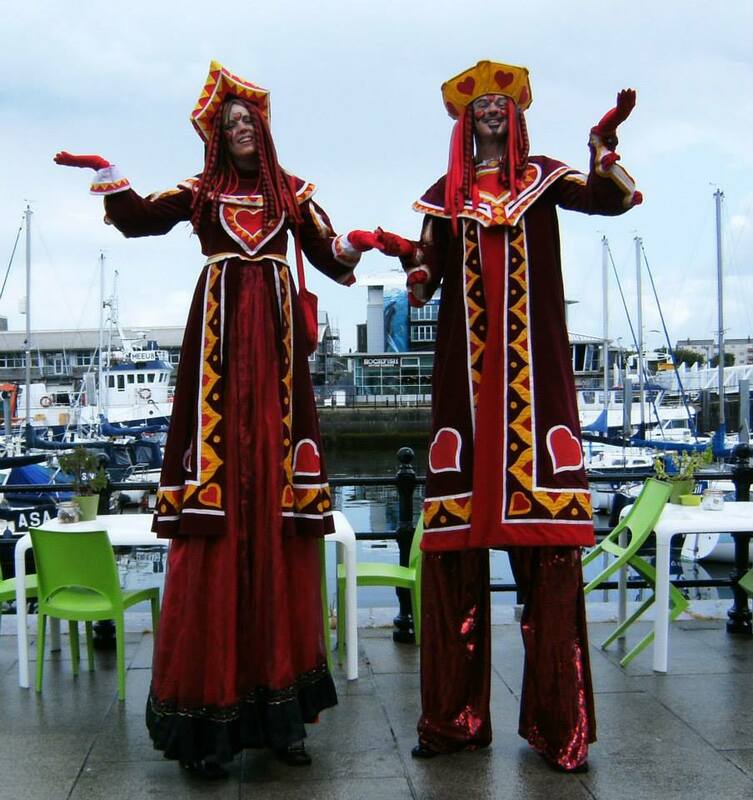 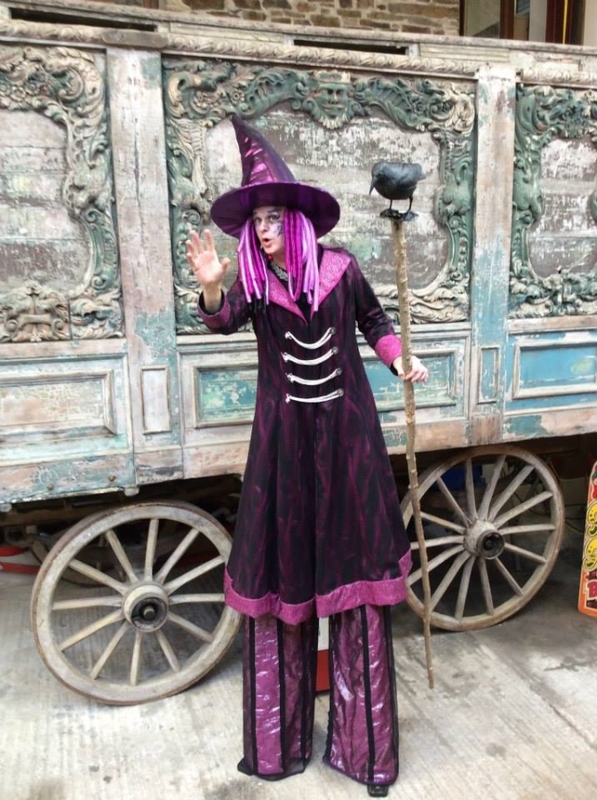 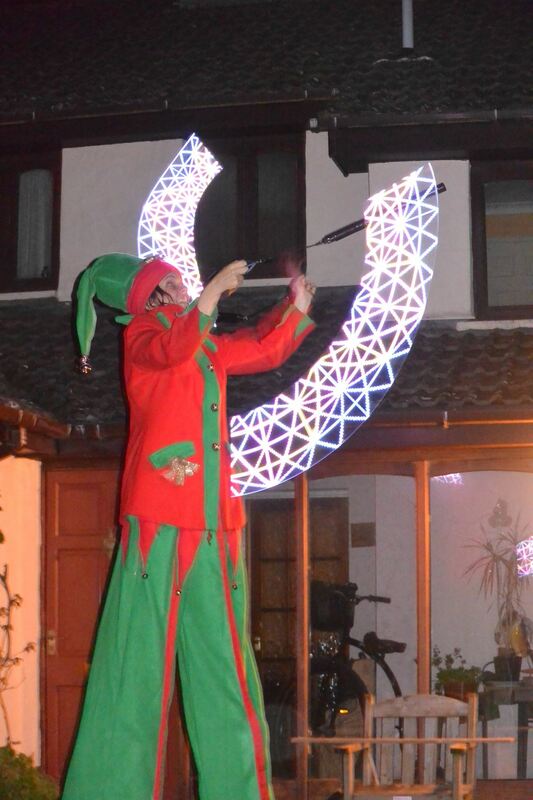 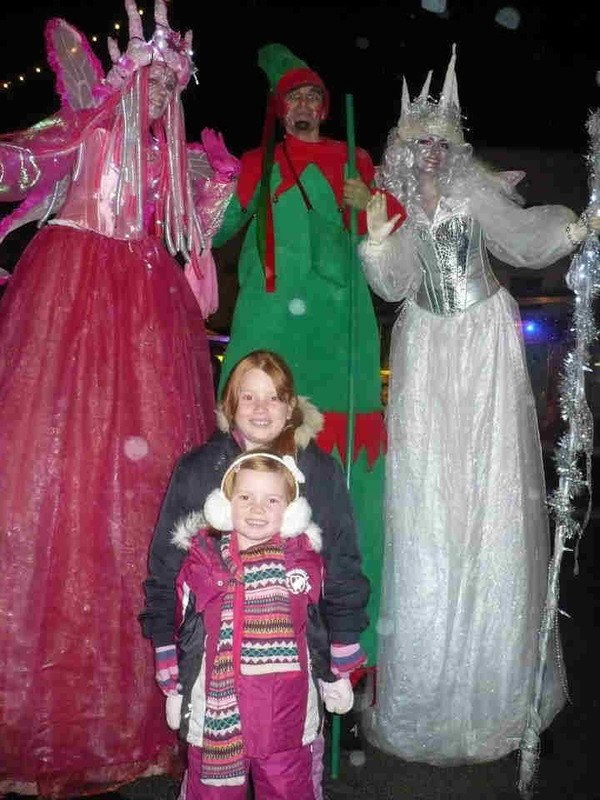 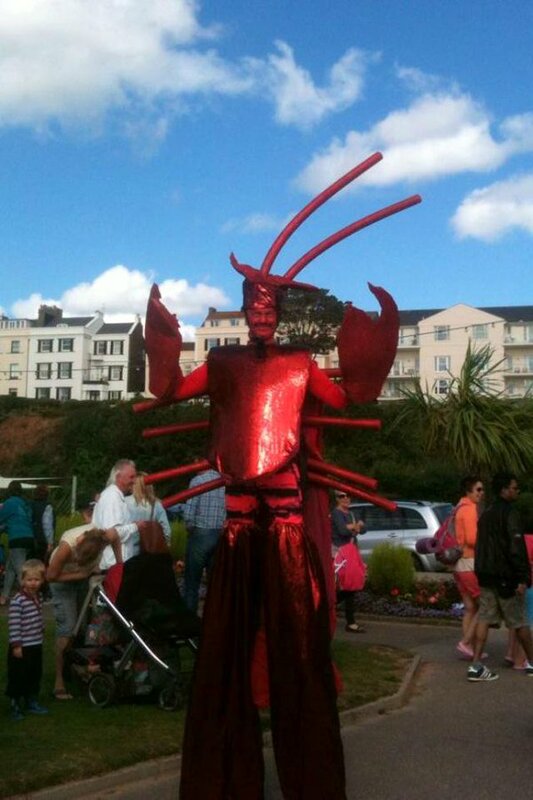 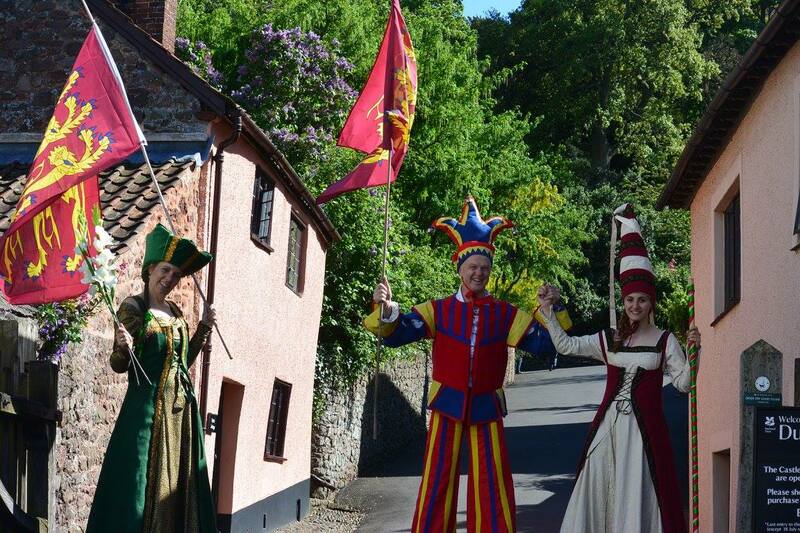 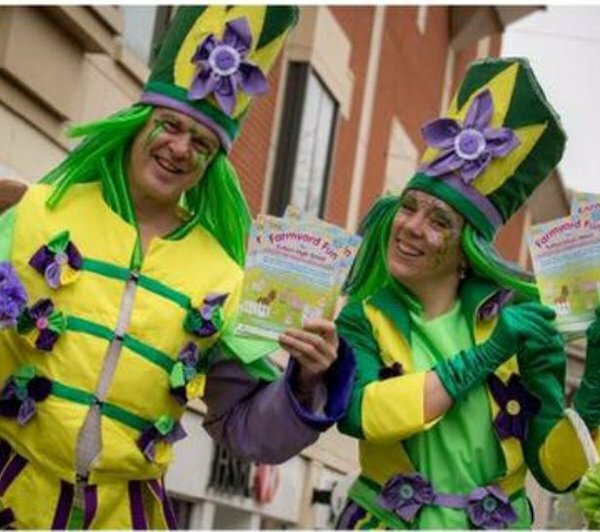 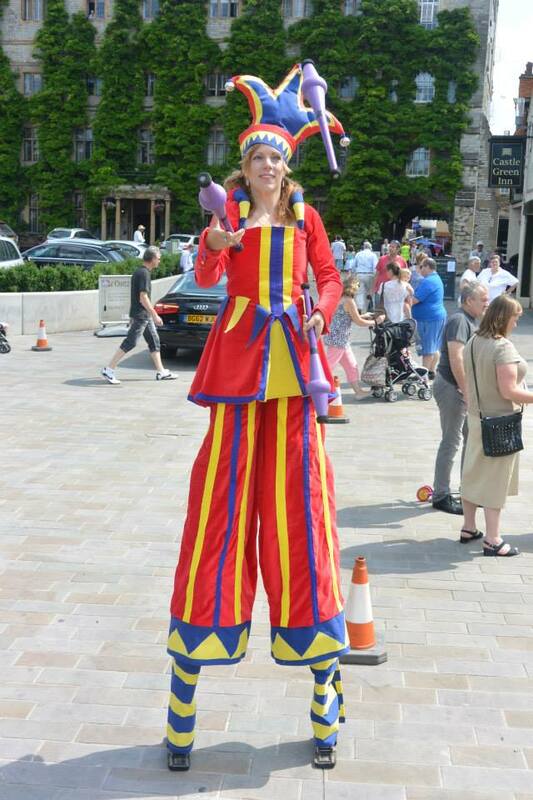 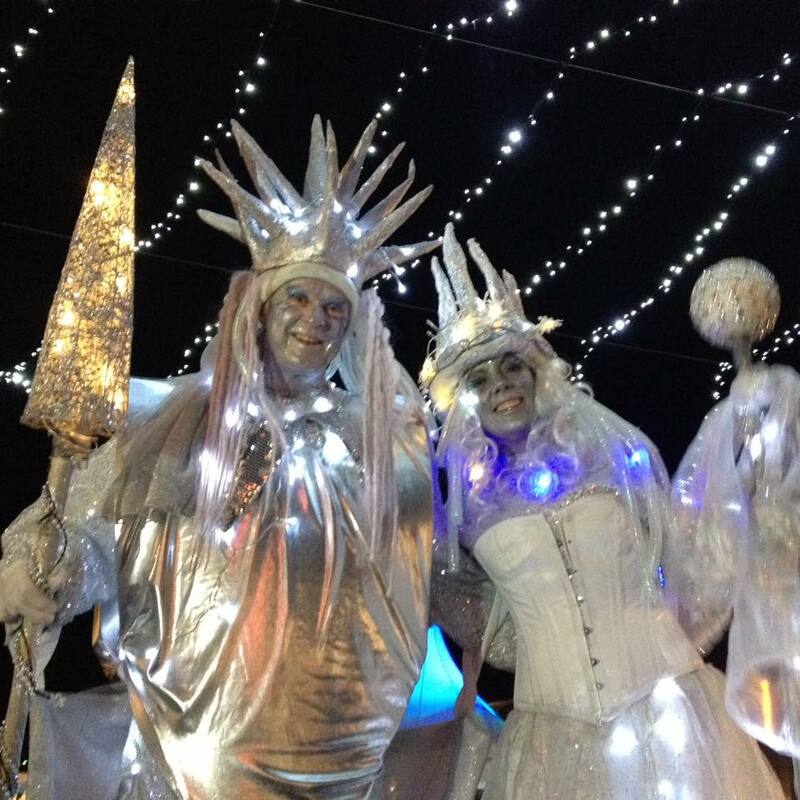 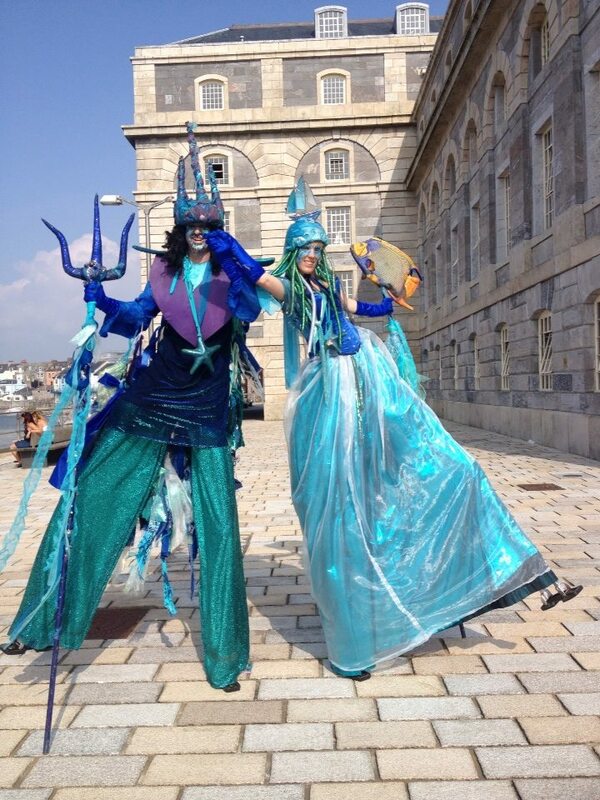 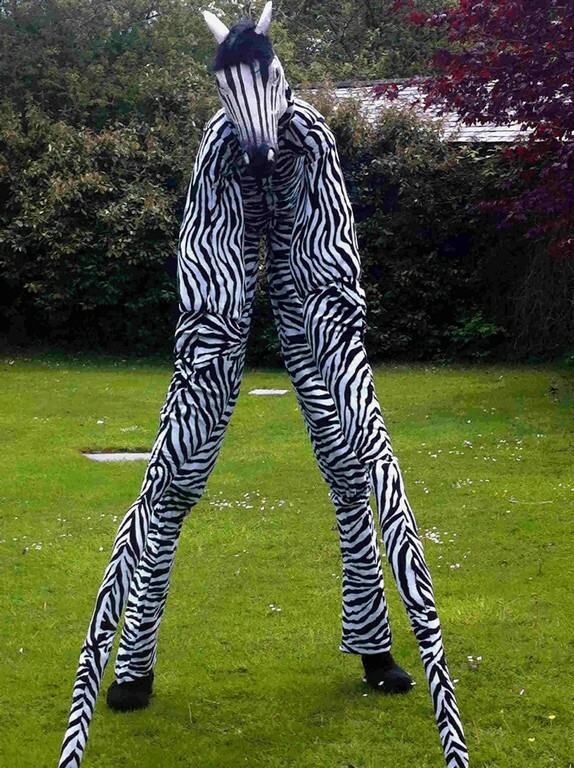 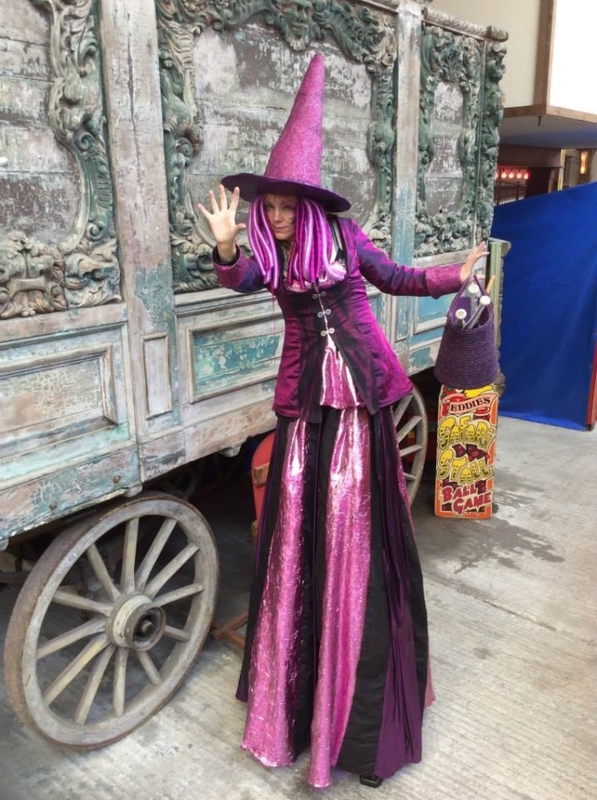 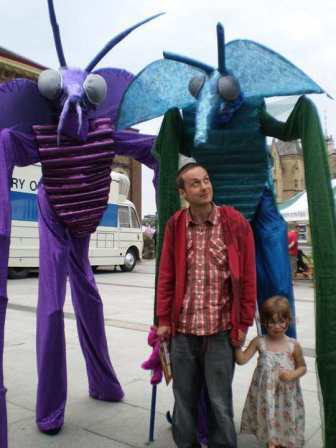 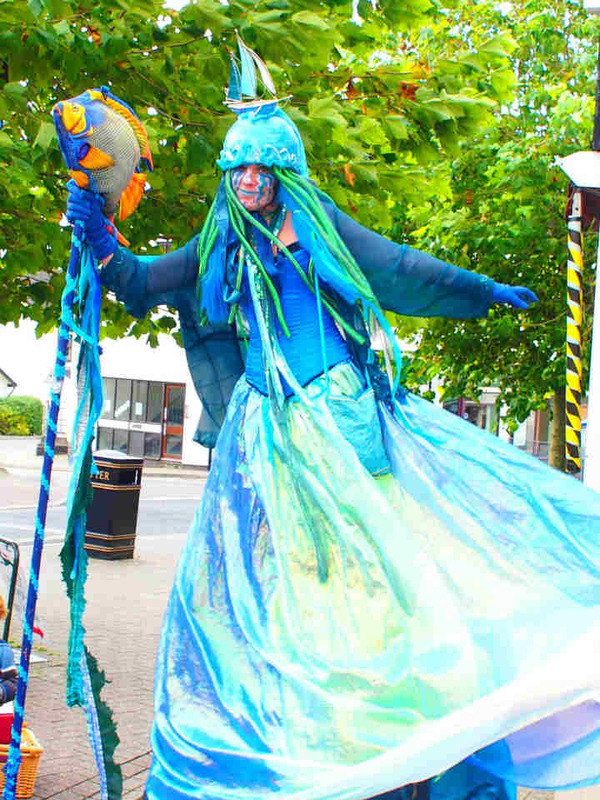 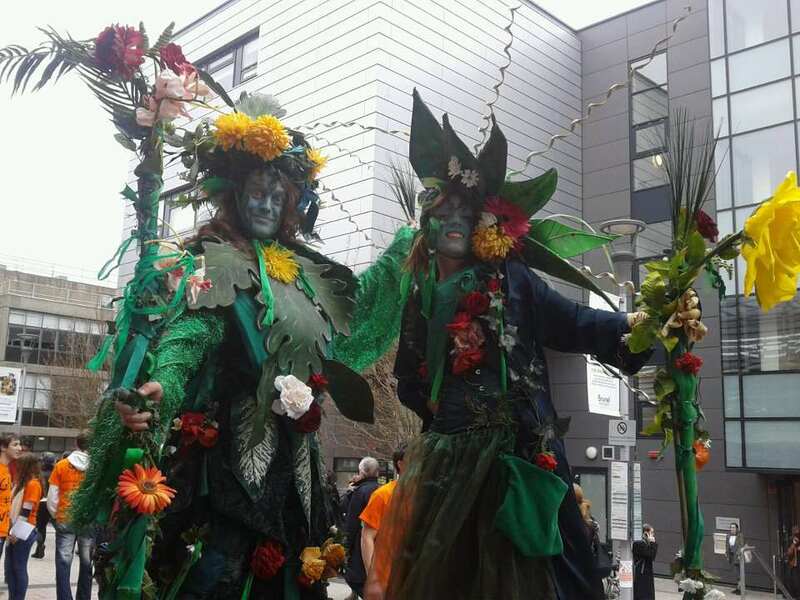 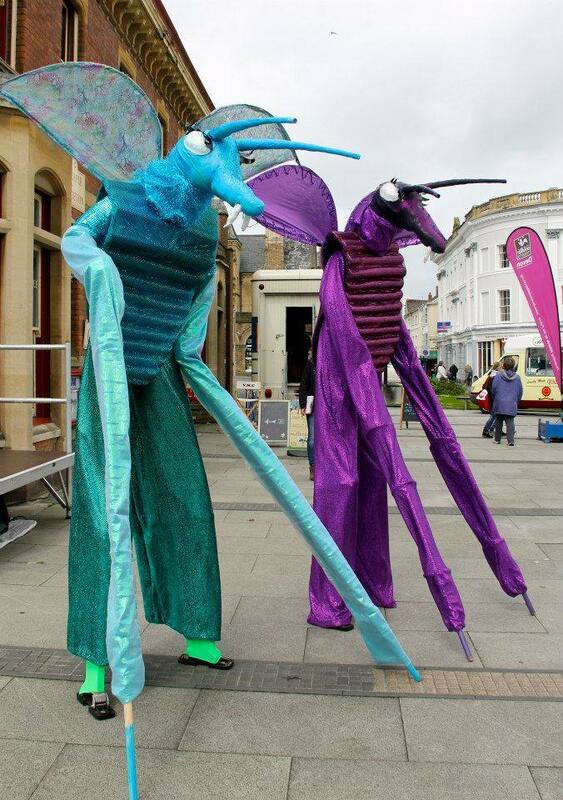 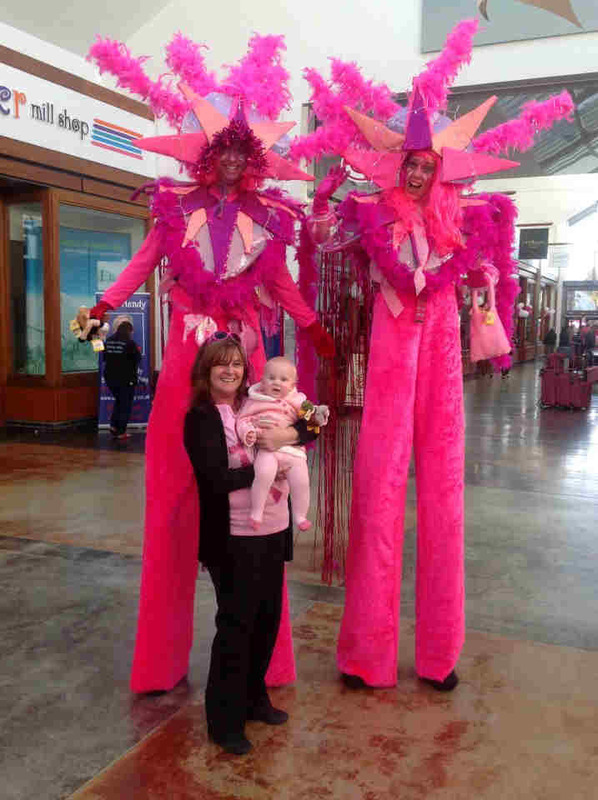 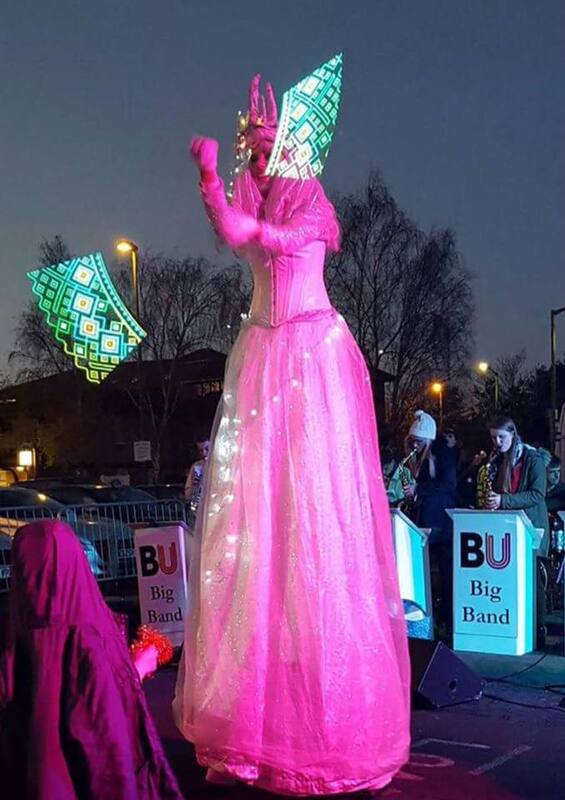 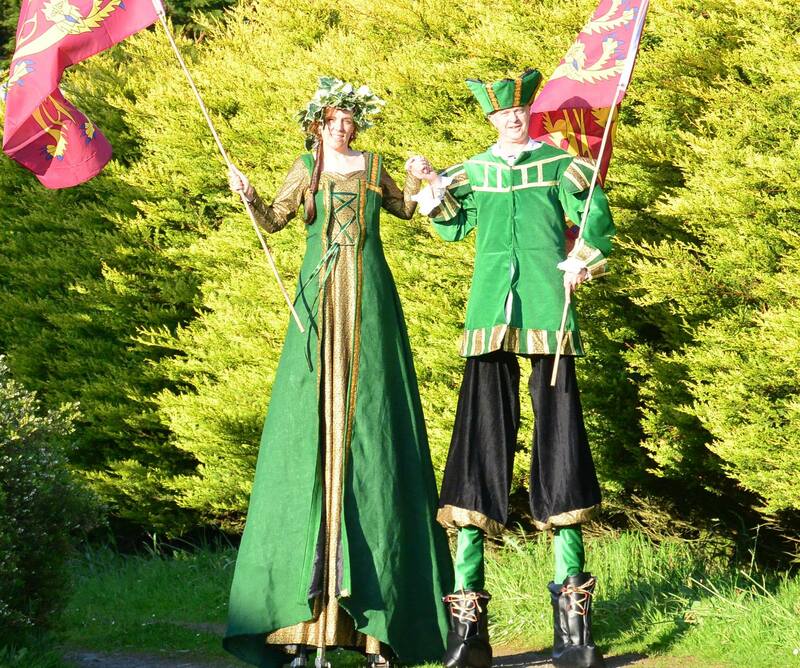 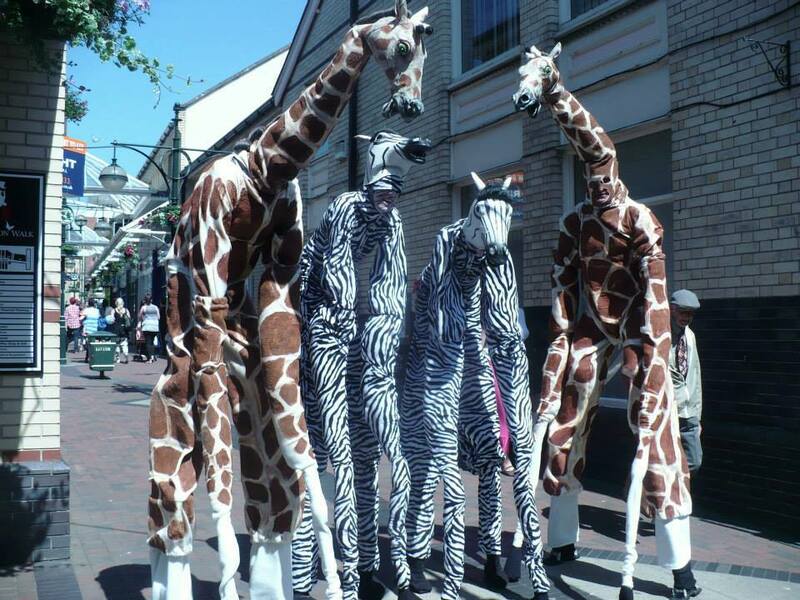 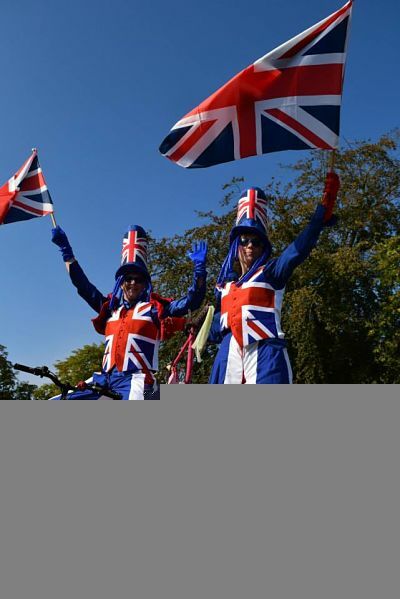 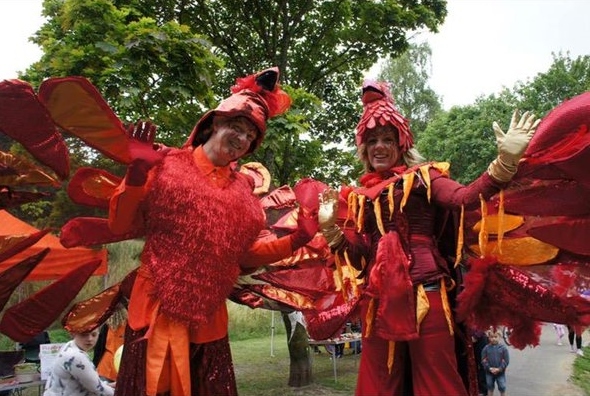 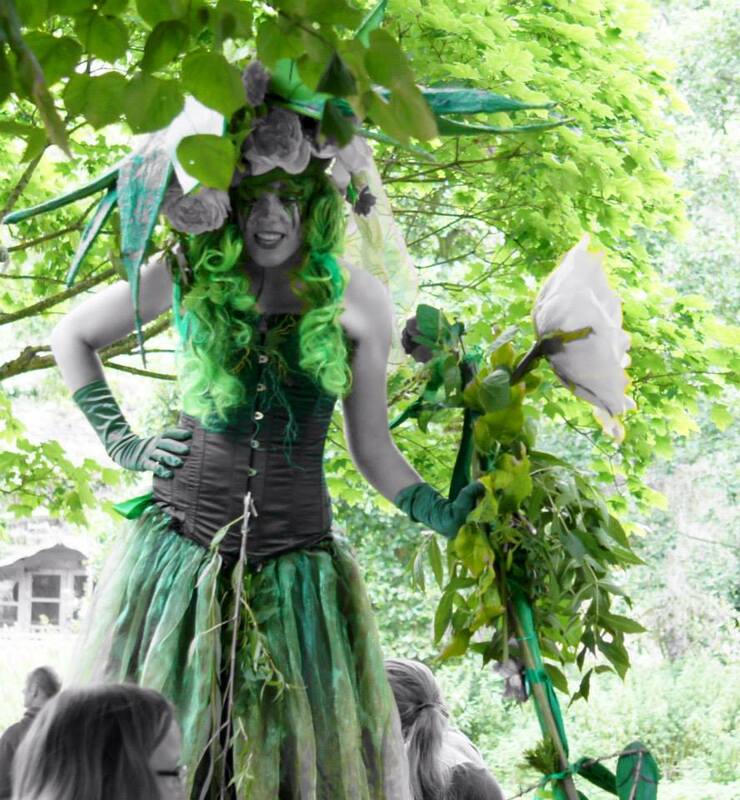 We can make special themed stilt costumes with a colour and theme to suit your brand.